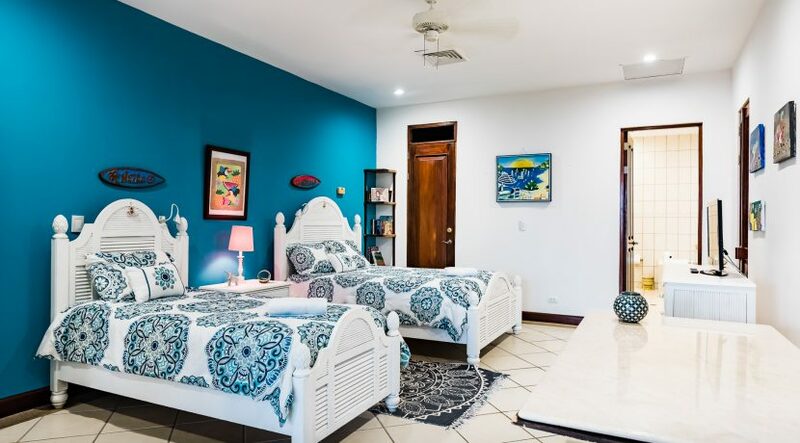 Alma del Mar? 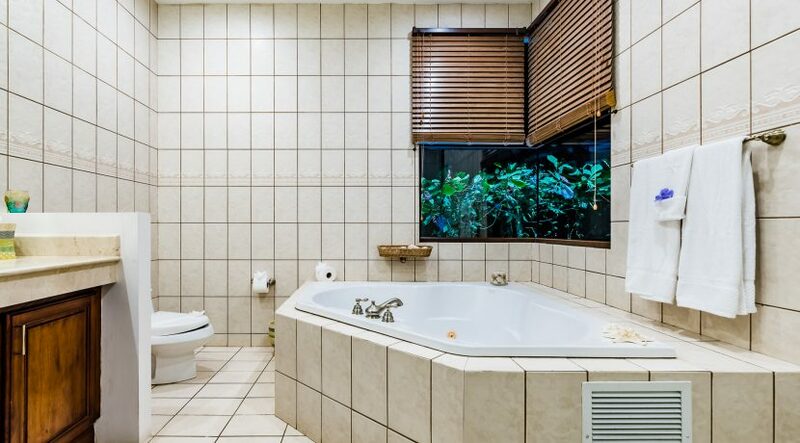 What does that mean. 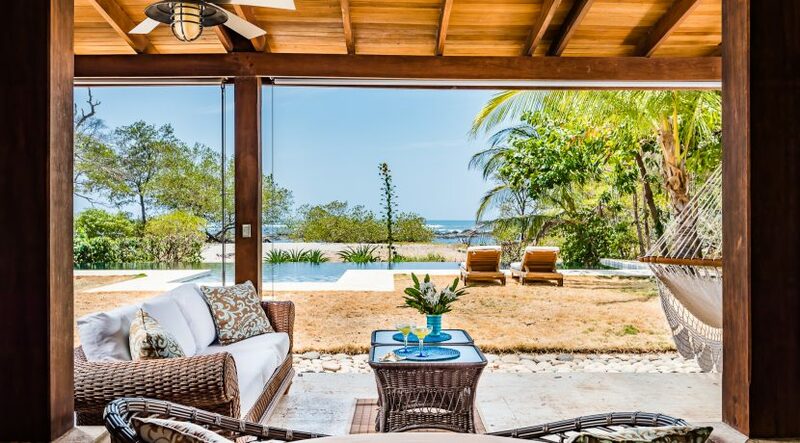 Well, it is the perfect description and name of this stunning beachfront home. 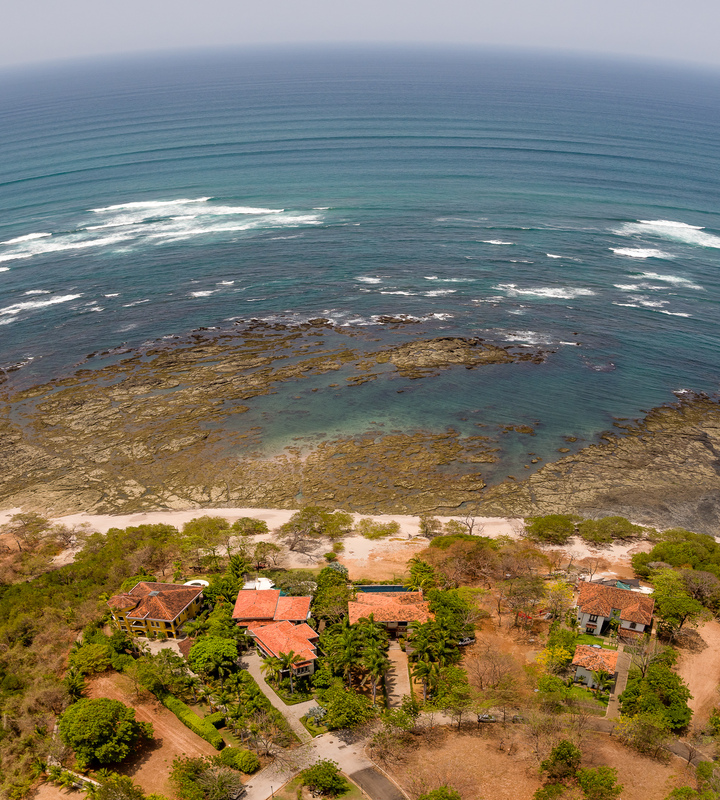 Alma del Mar literally translates to ‘Soul of the Sea’. 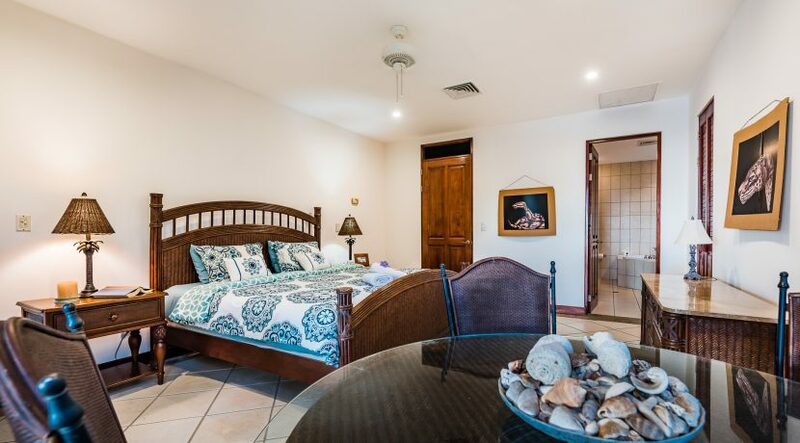 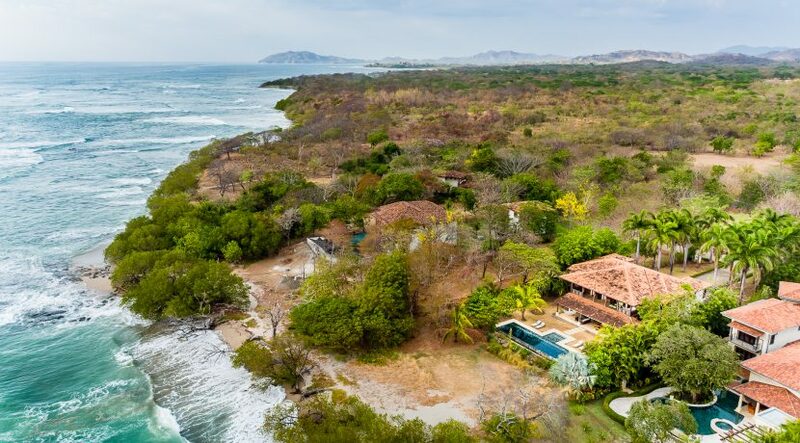 On many levels this special name is perfectly apropo because the beachfront of this home serves as a regular nesting site for one of the most sentient beings in the ocean, the Pacific Green Sea Turtle. 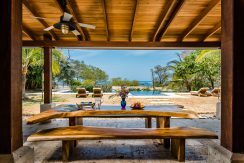 Alma del Mar is a distinctive four bedroom home, each a master bedroom, with four ensuite baths and roughly 5000ft2 of construction. 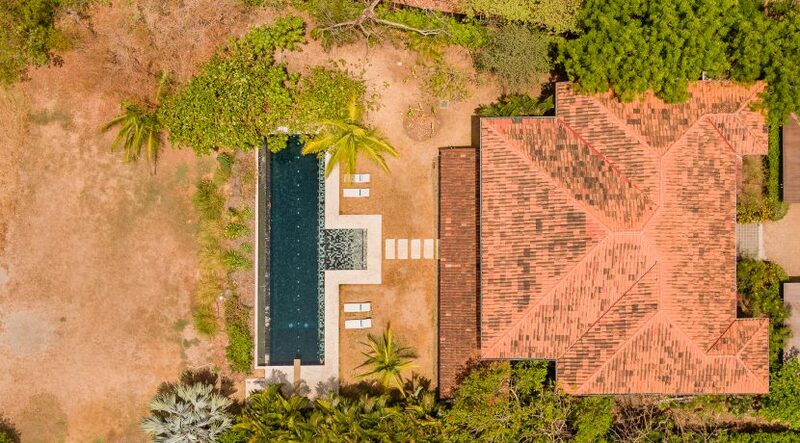 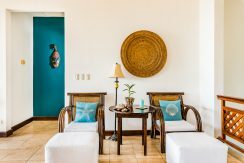 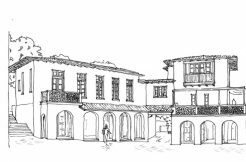 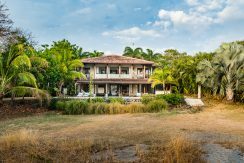 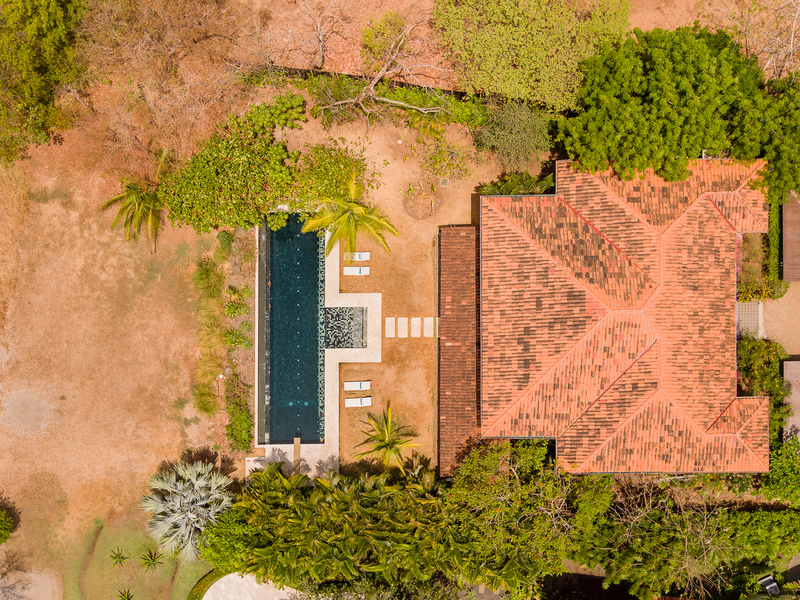 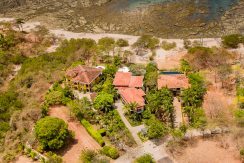 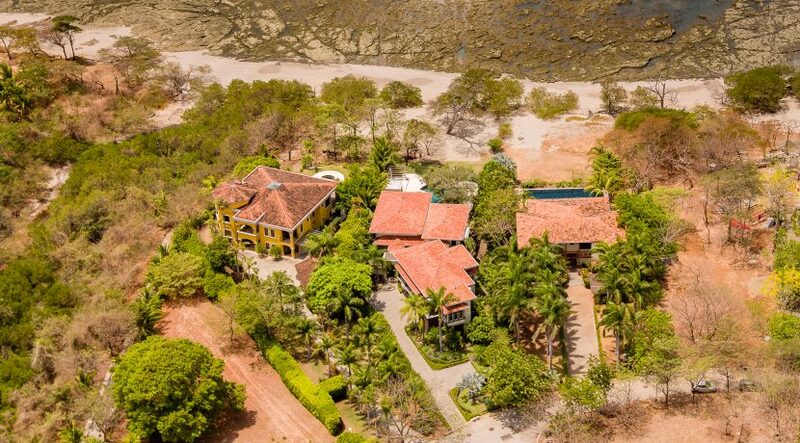 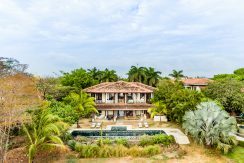 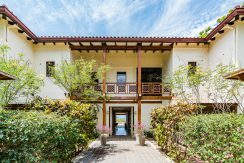 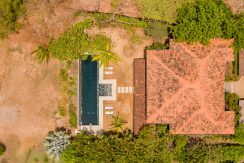 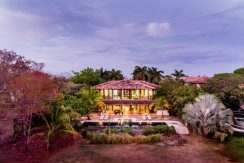 It was built in traditional Spanish Colonial style by the developers of the exclusive gated and guarded community called Hacienda Pinilla. 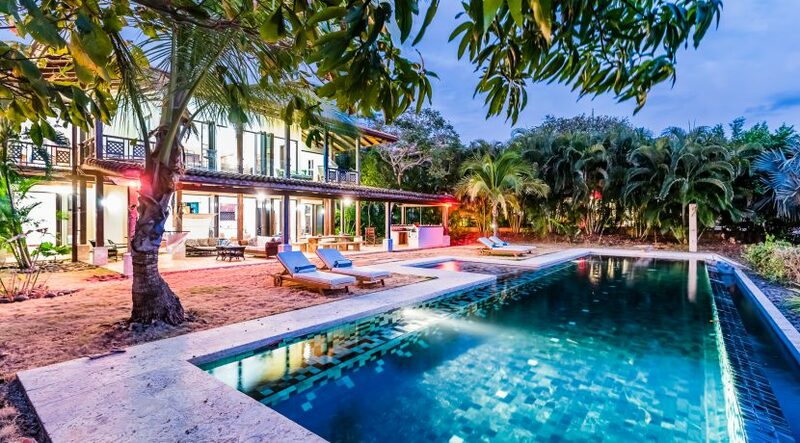 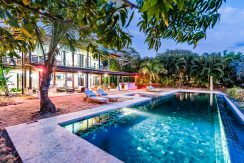 The show piece to this home is the outdoor, beach level, covered terrace and pool. Upon walking in, warm and open spaces welcome you. 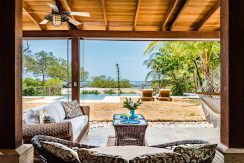 Your senses are coddled by an inviting entertainment room, the custom pool, and the grandeur of the Pacific Ocean in the distance. 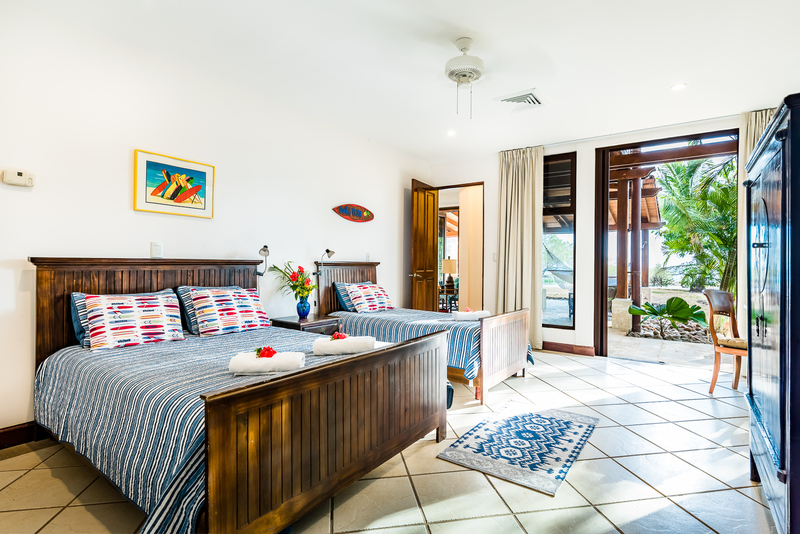 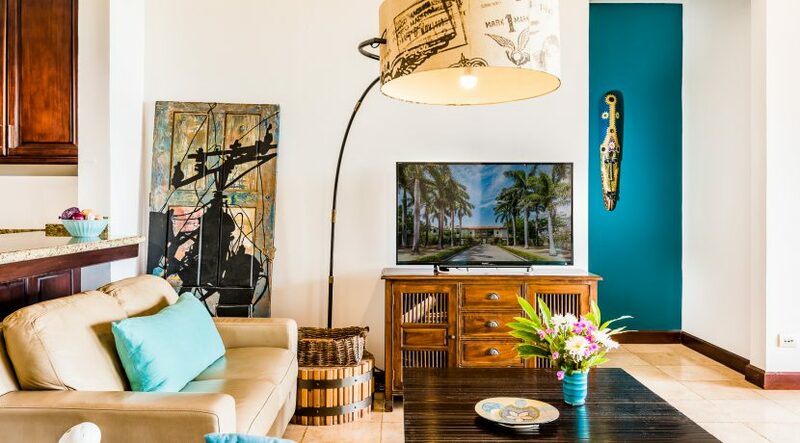 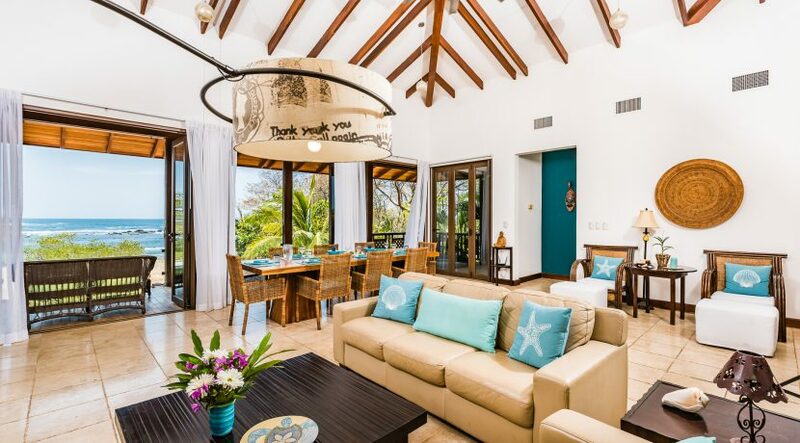 Tropical breezes flow throughout this space on their way out to sea. On either side of this area lies, waiting, two large bedrooms. Each has it’s own direct access to the outdoor living space. 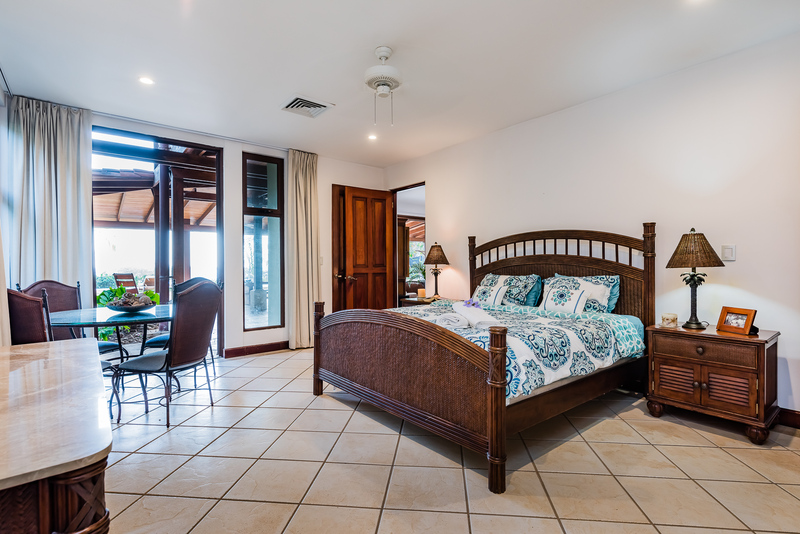 The second floor enjoys two more master suites. 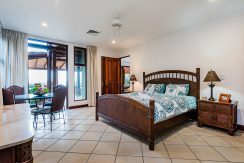 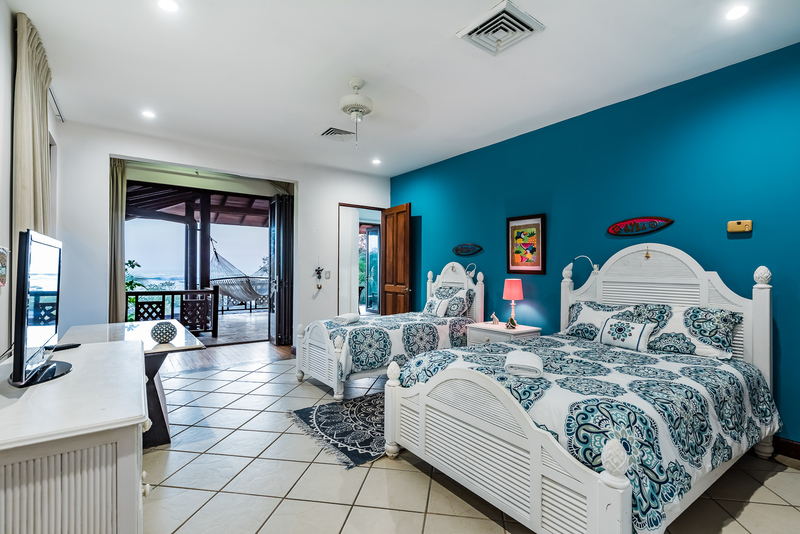 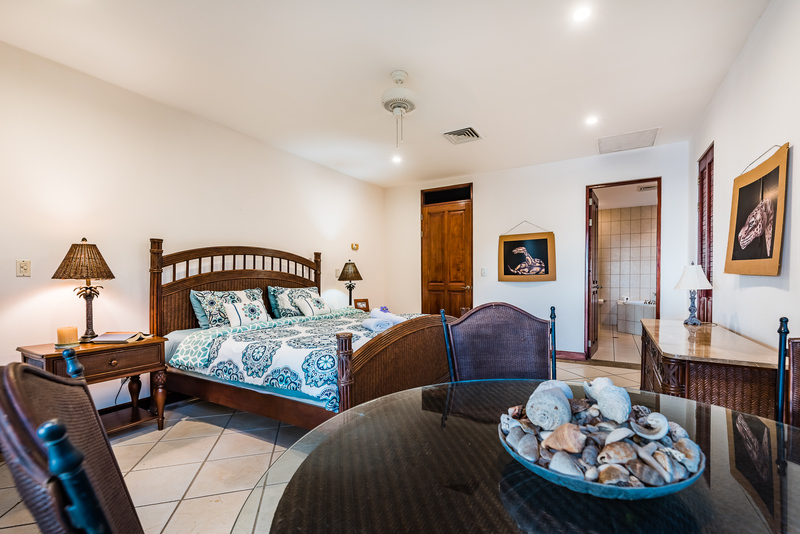 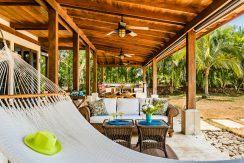 Again, each one has direct and private access to the sprawling rear porch where you will soak in the most glorious sunsets. 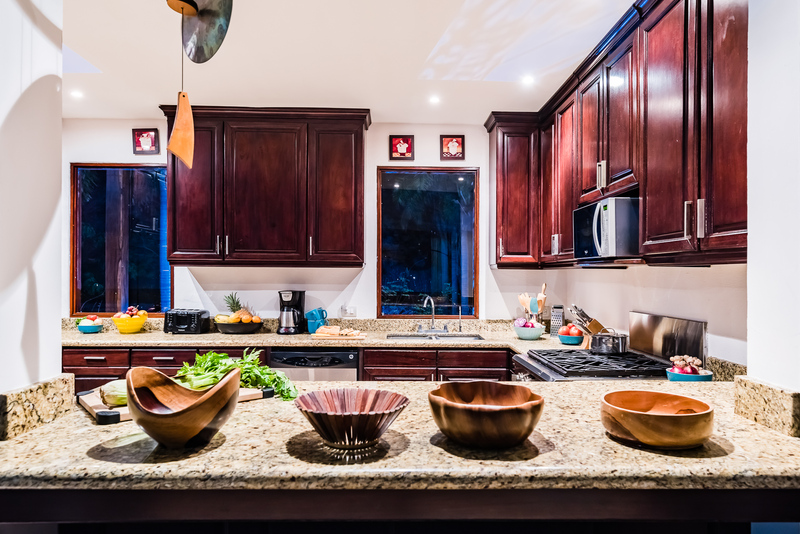 The kitchen is large and well appointed. 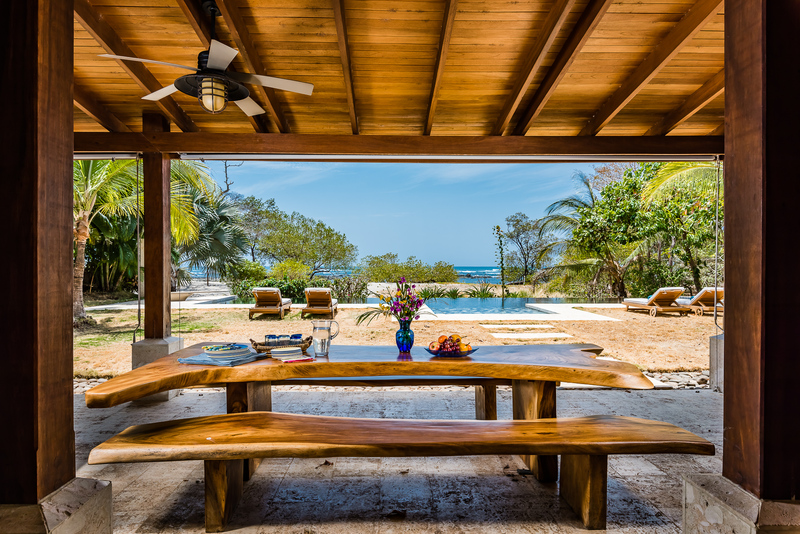 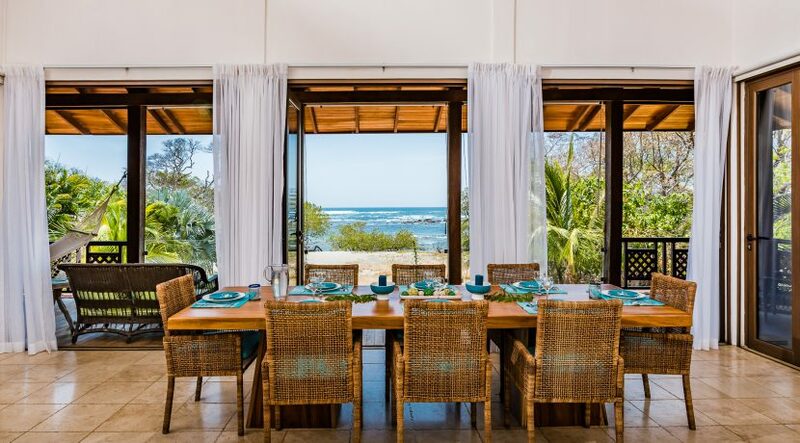 A custom tropical wood dining table is made from one entire tree and accommodate up to 16 guests quite comfortably. 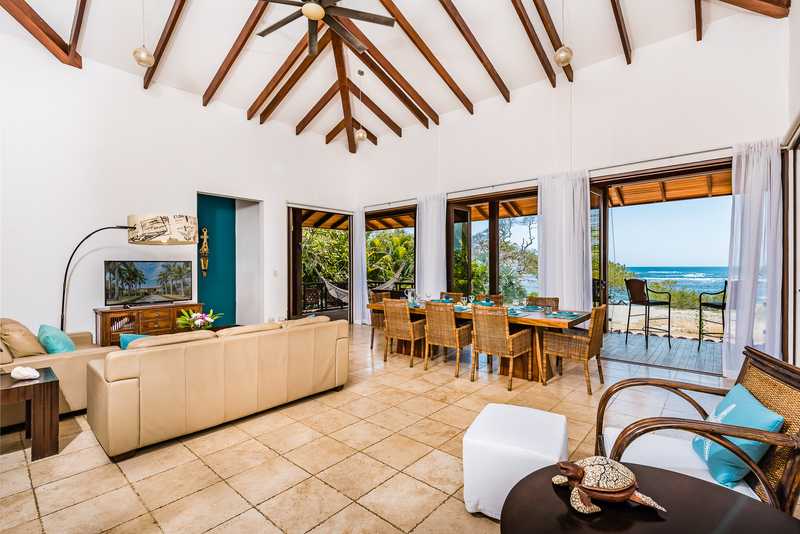 18’ ceilings add to the spacious feel of this second living and dining area. 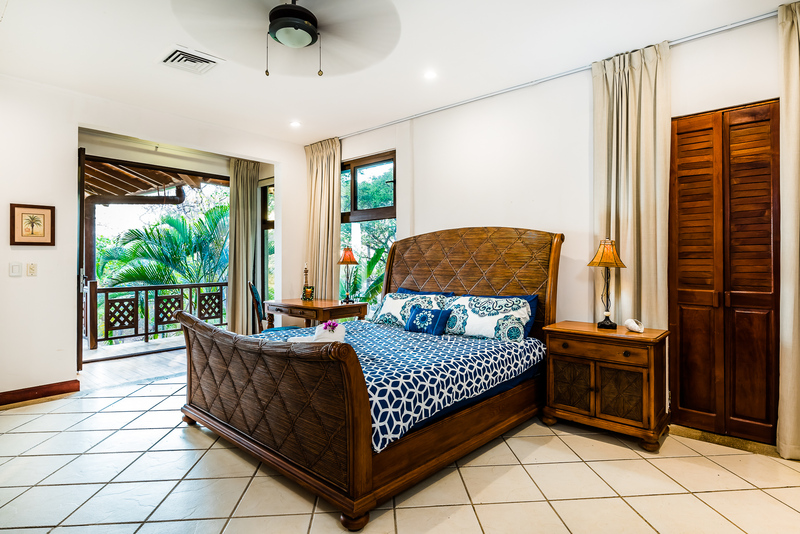 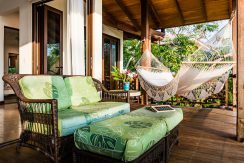 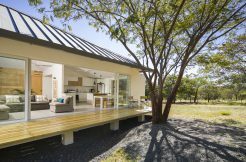 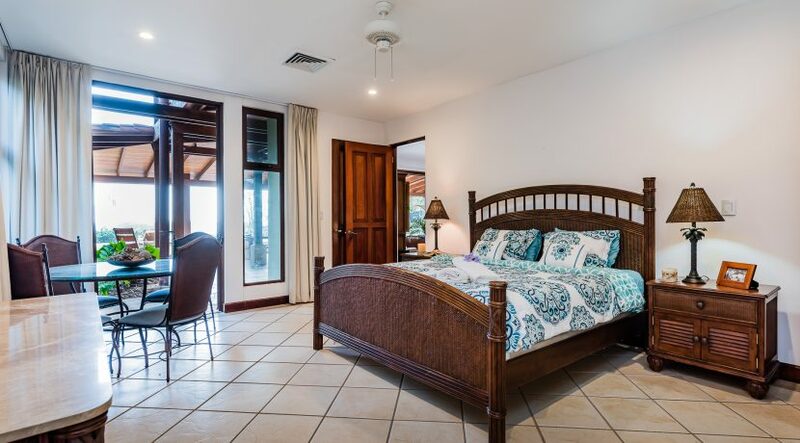 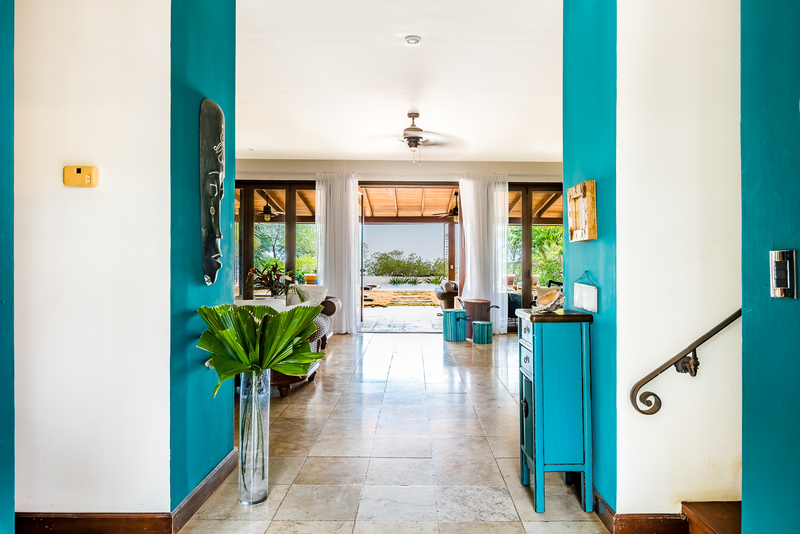 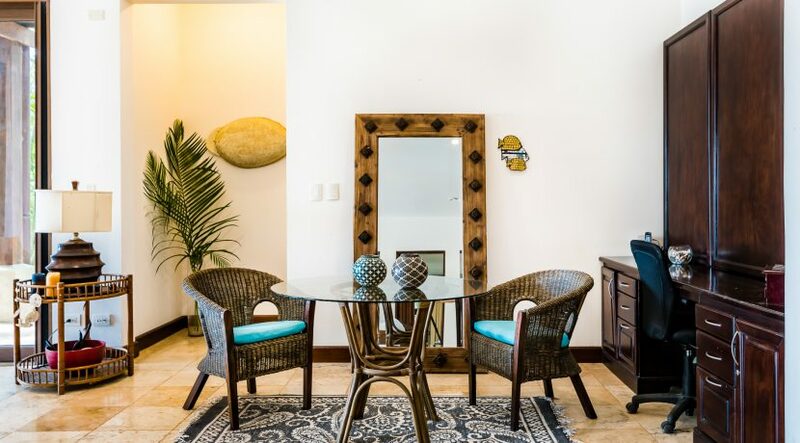 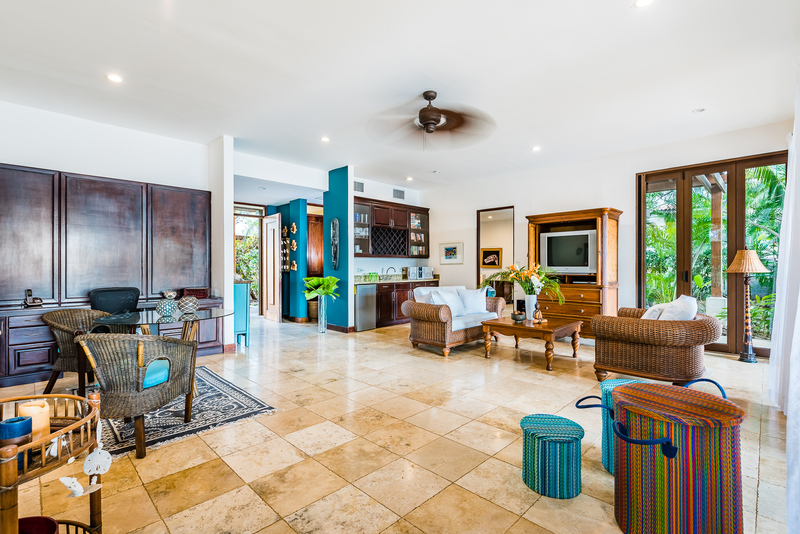 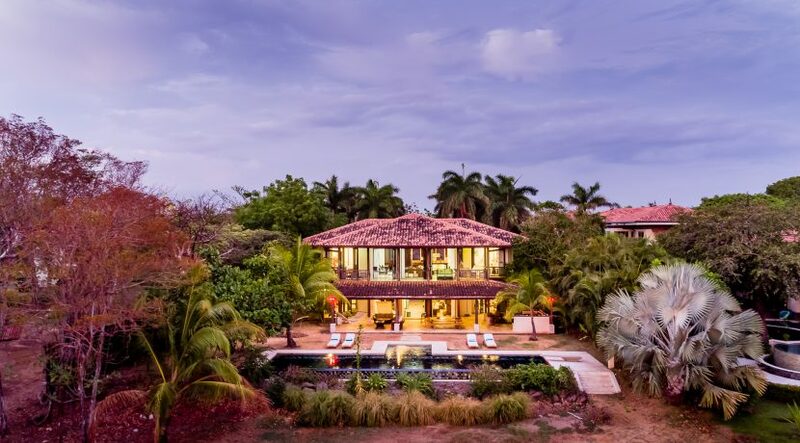 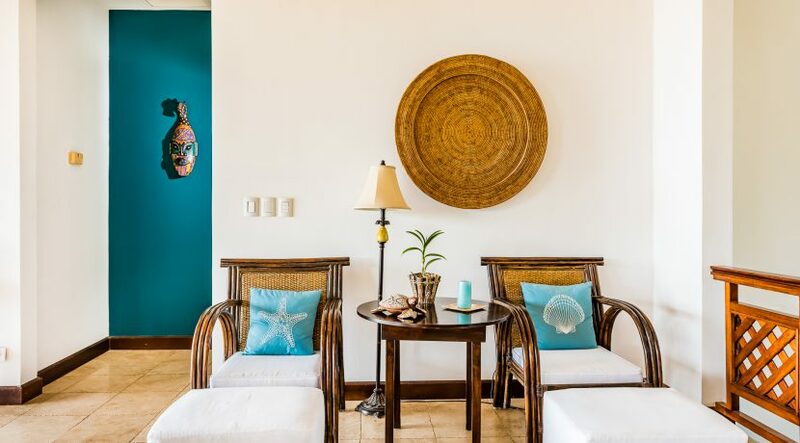 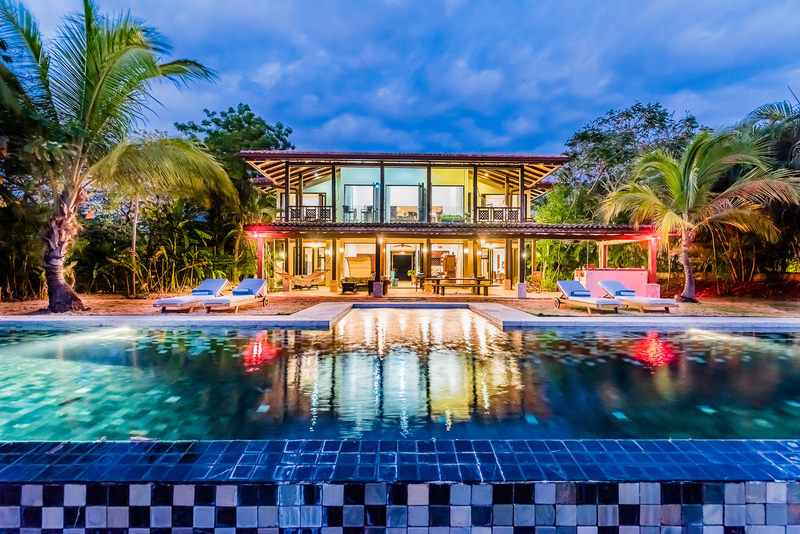 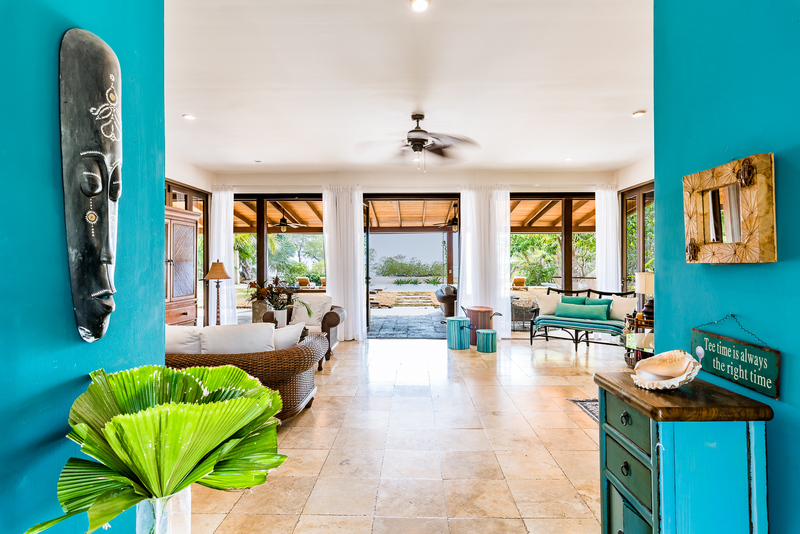 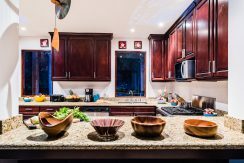 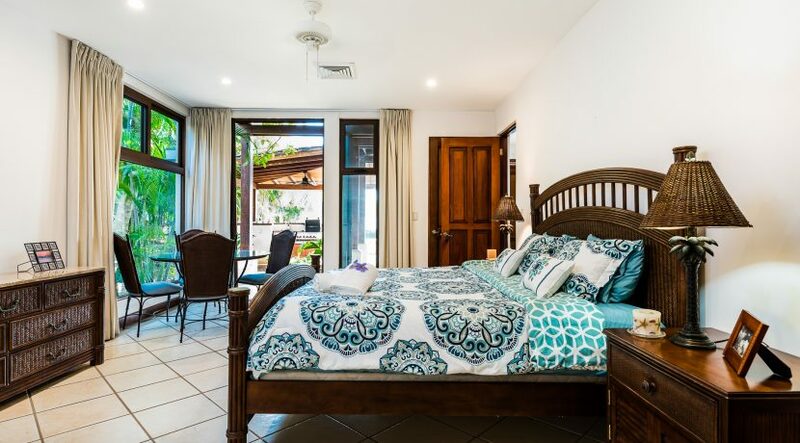 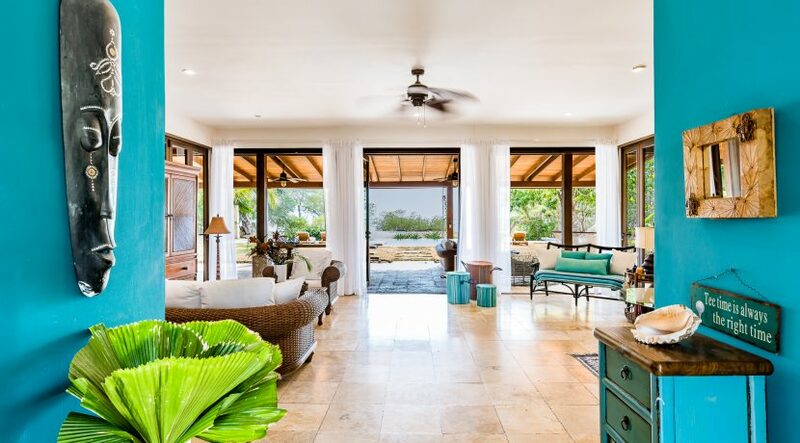 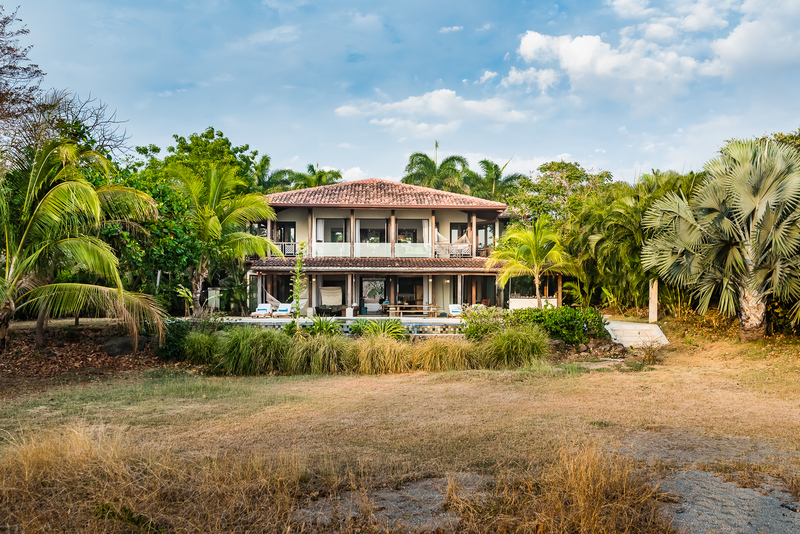 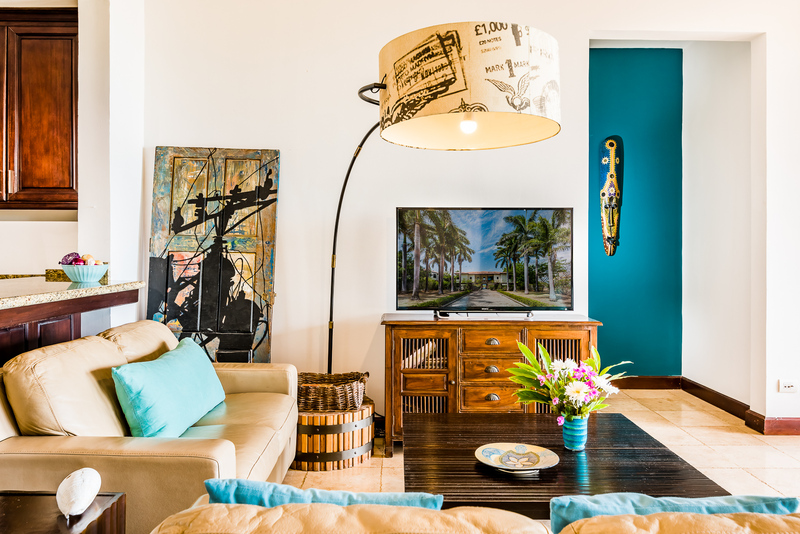 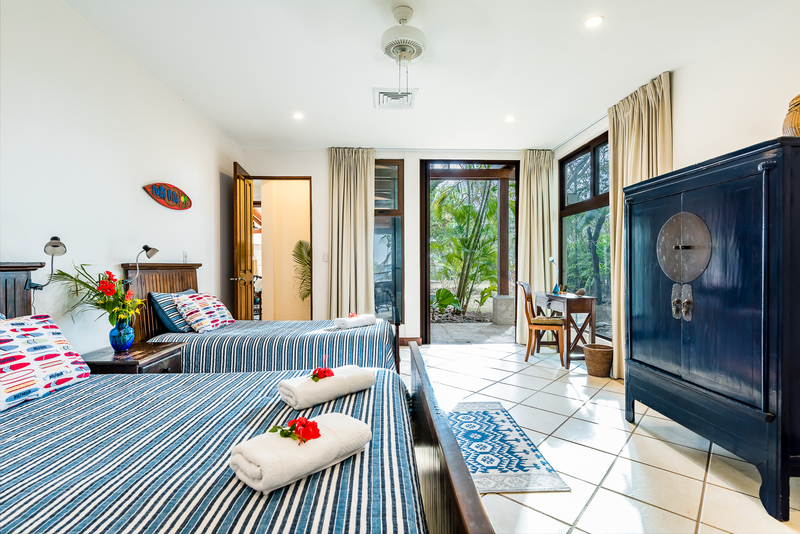 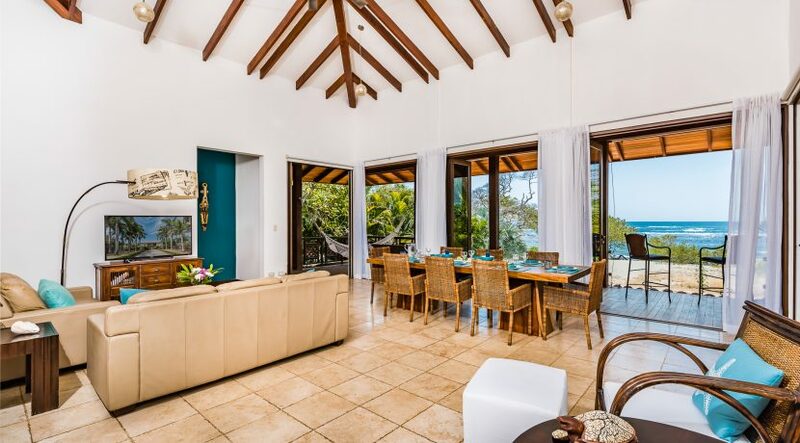 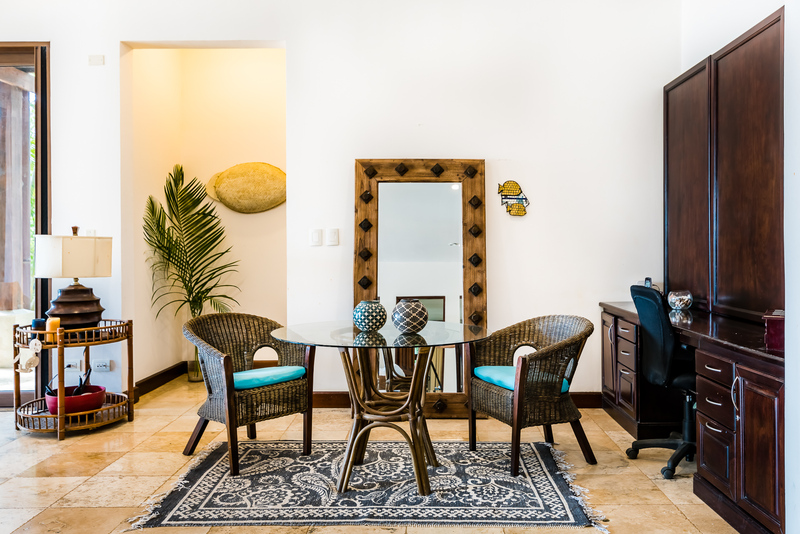 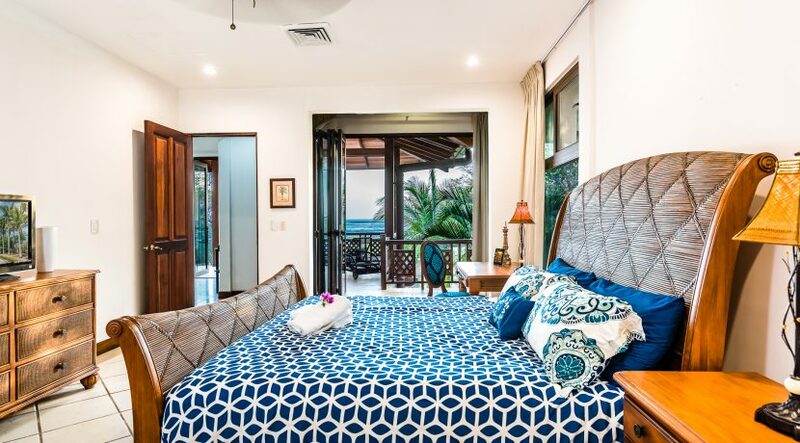 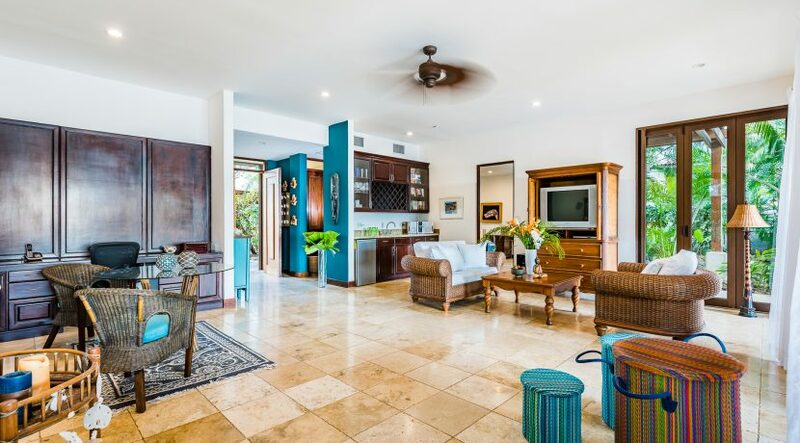 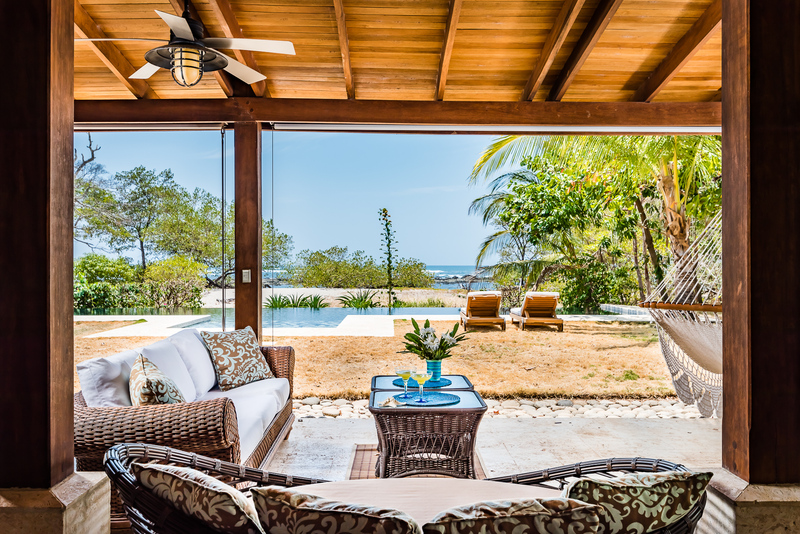 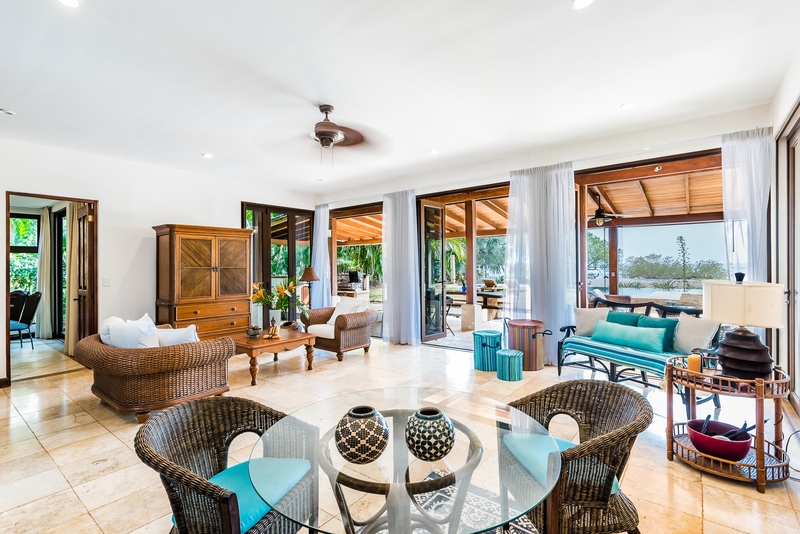 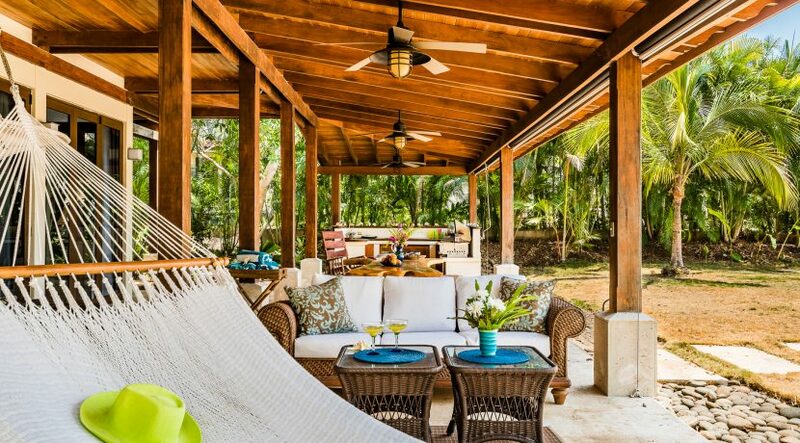 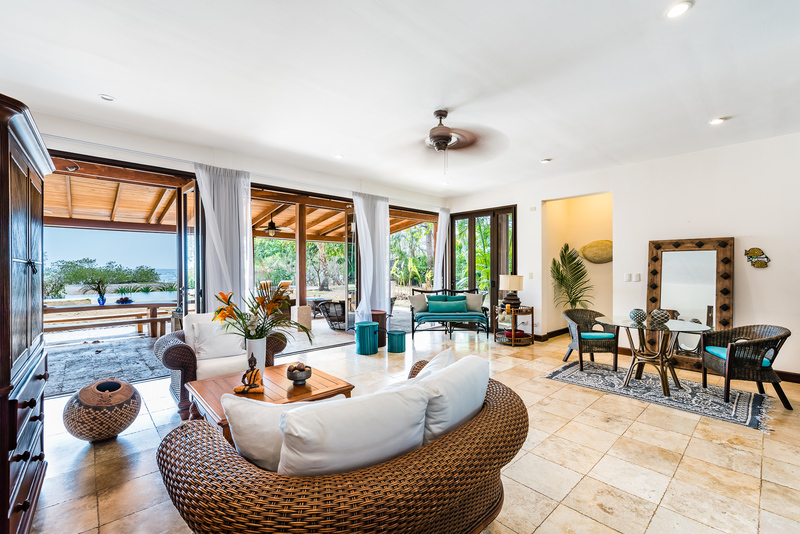 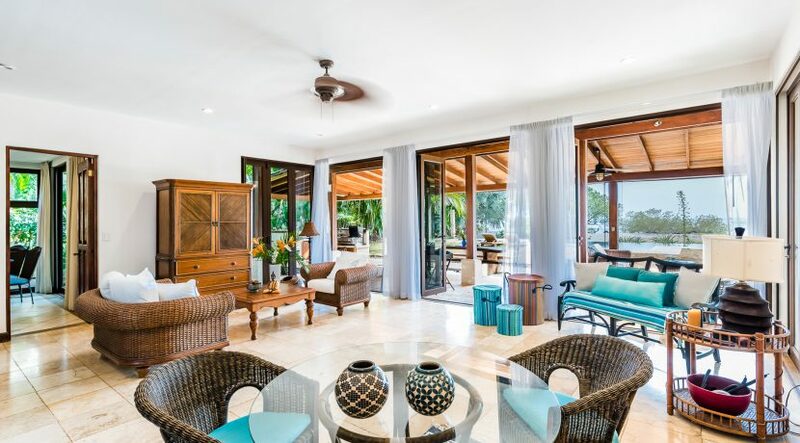 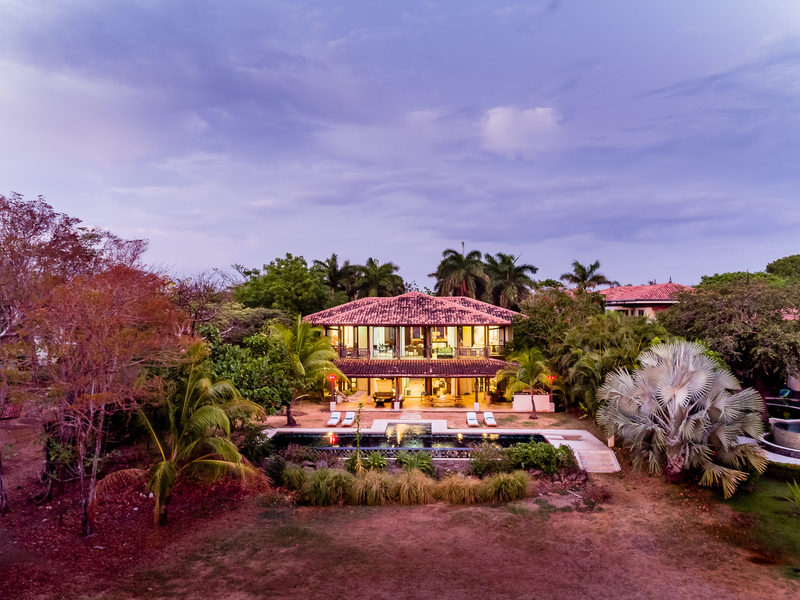 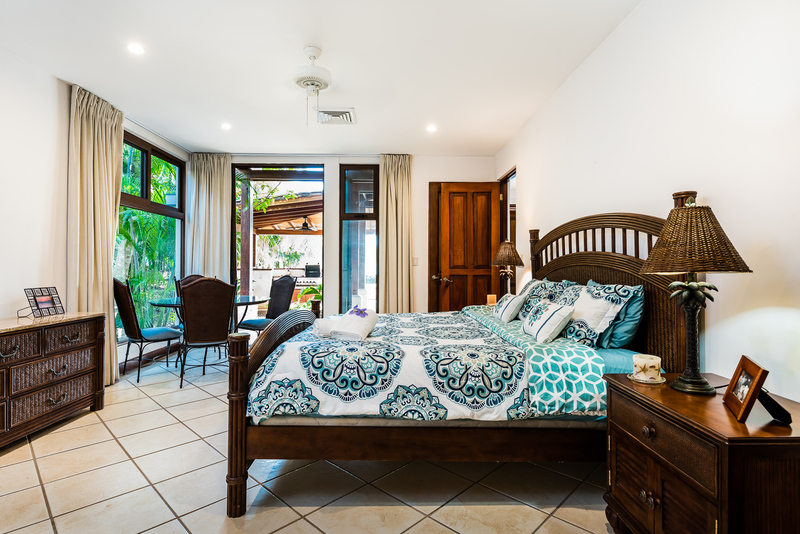 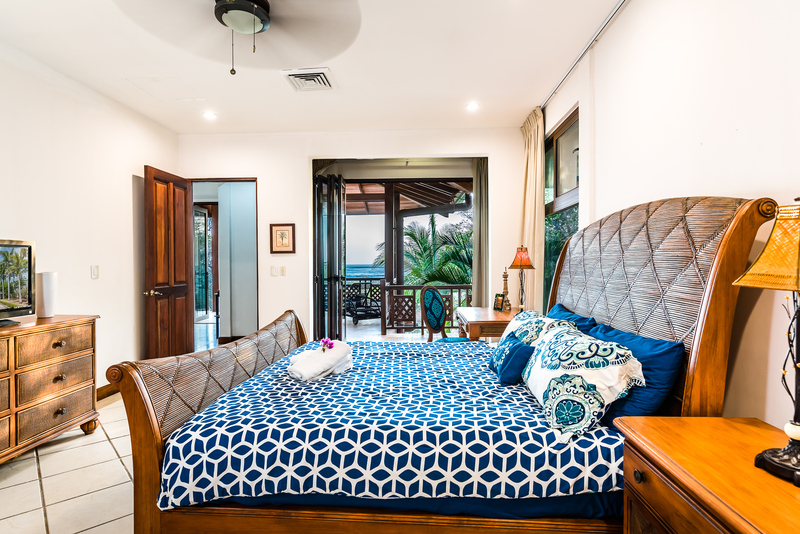 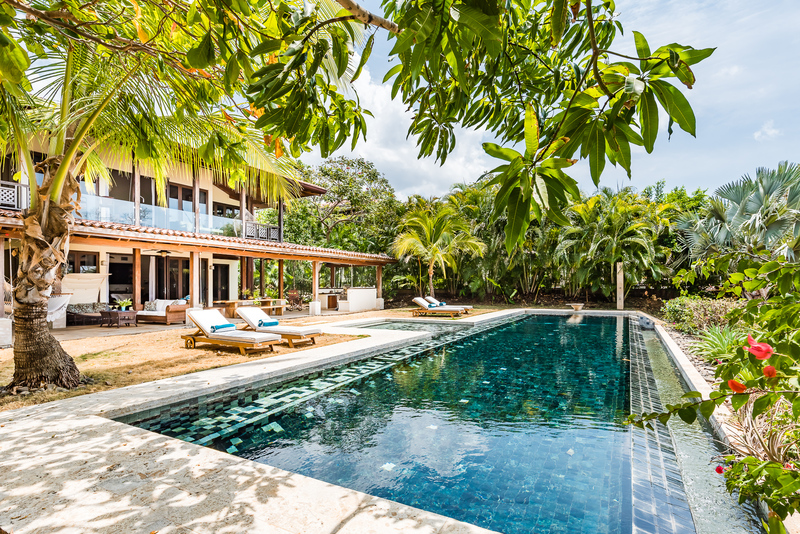 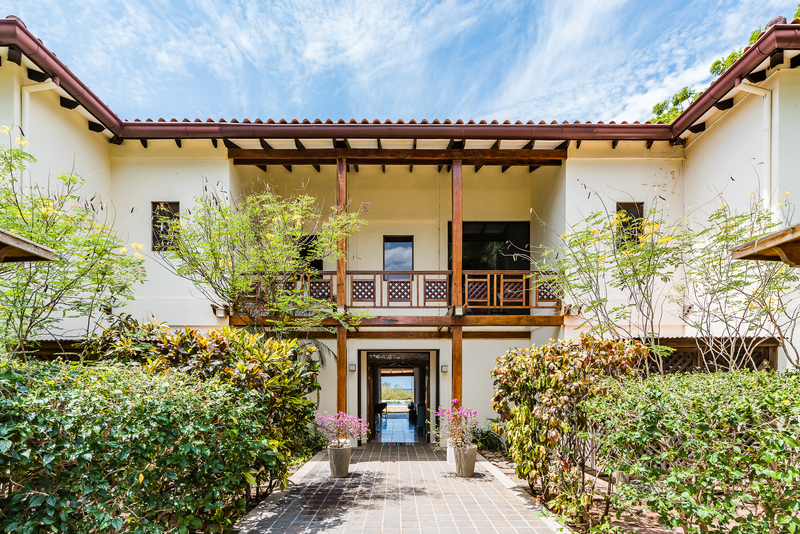 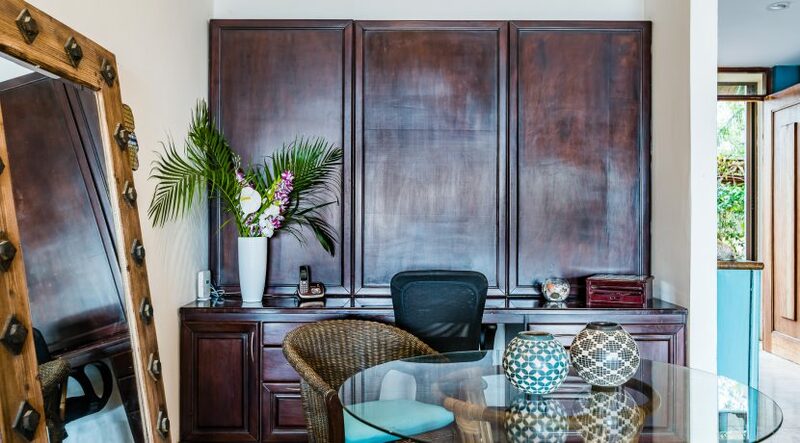 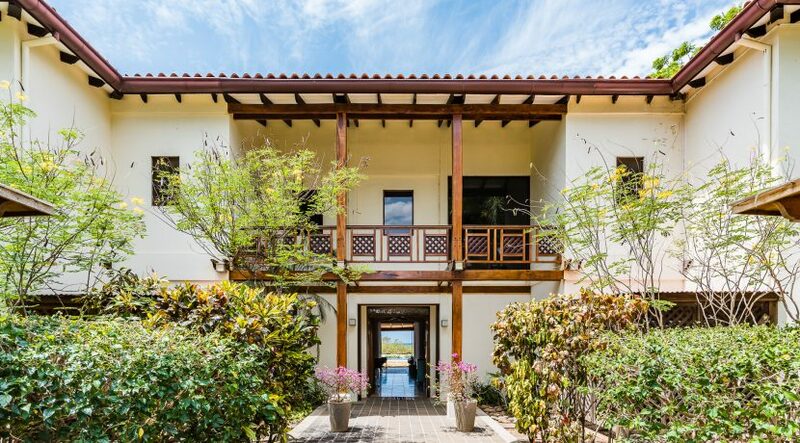 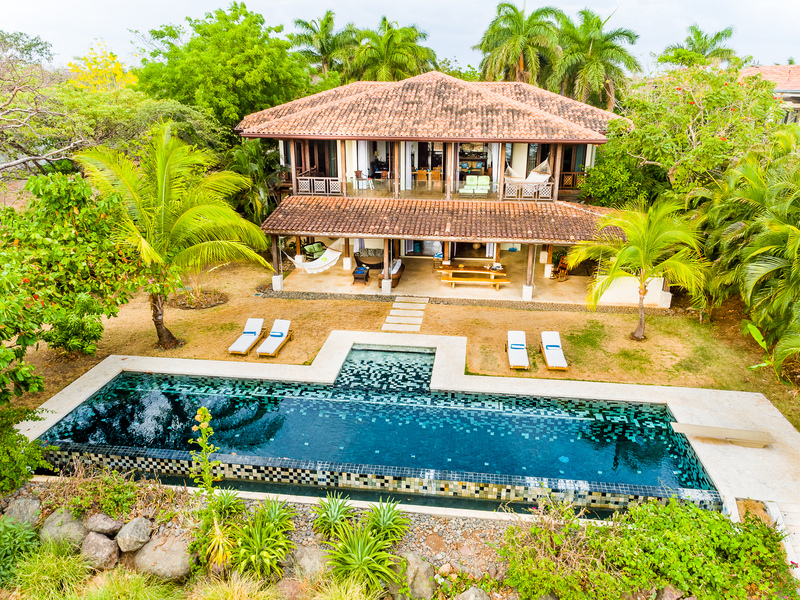 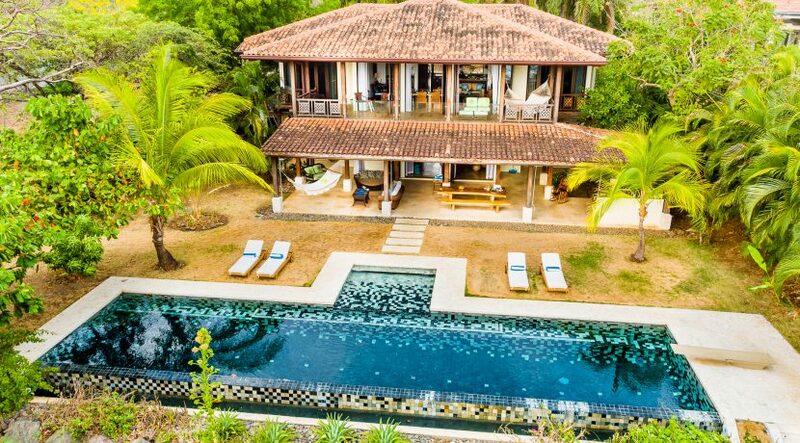 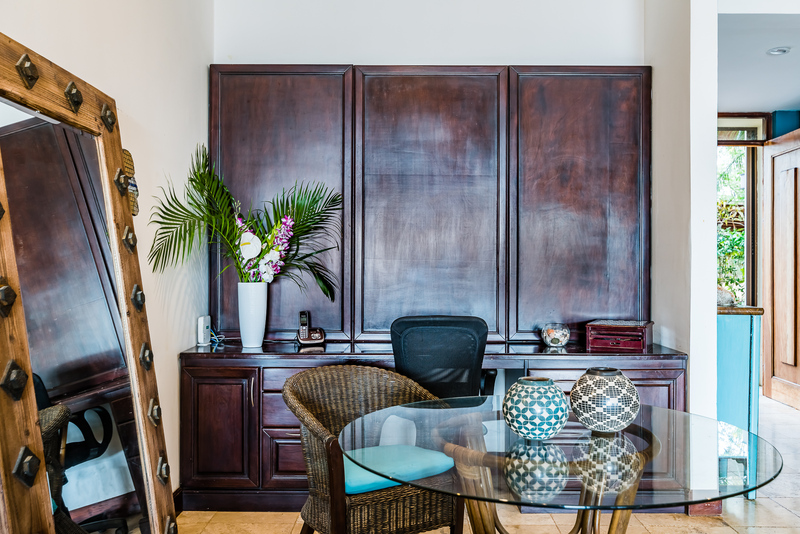 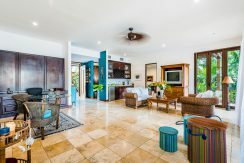 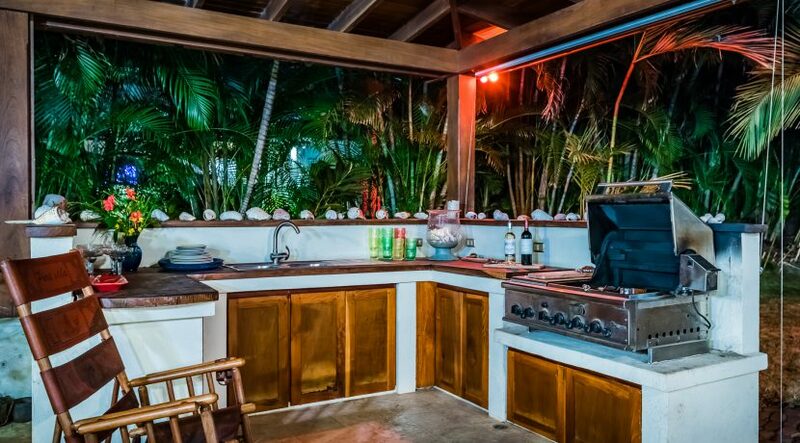 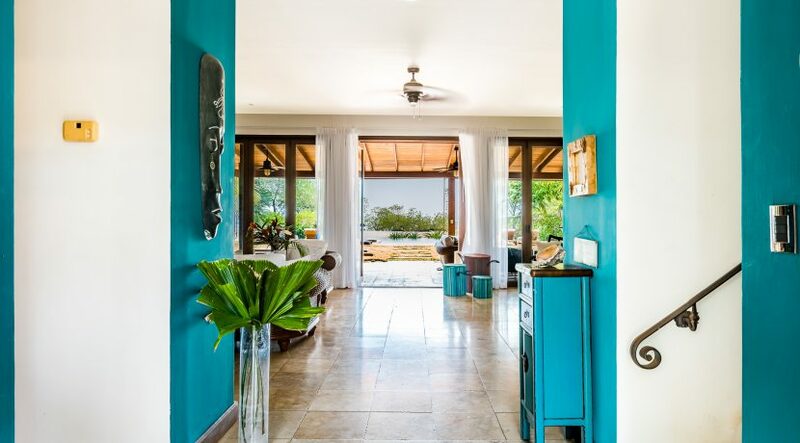 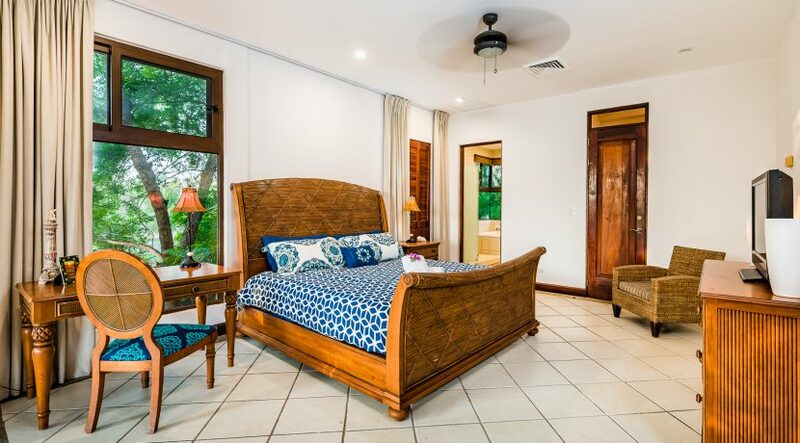 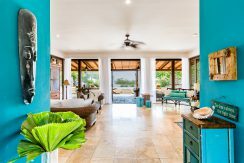 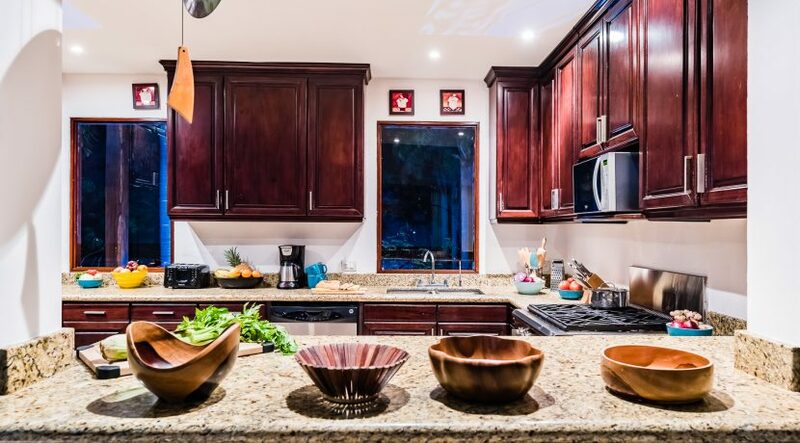 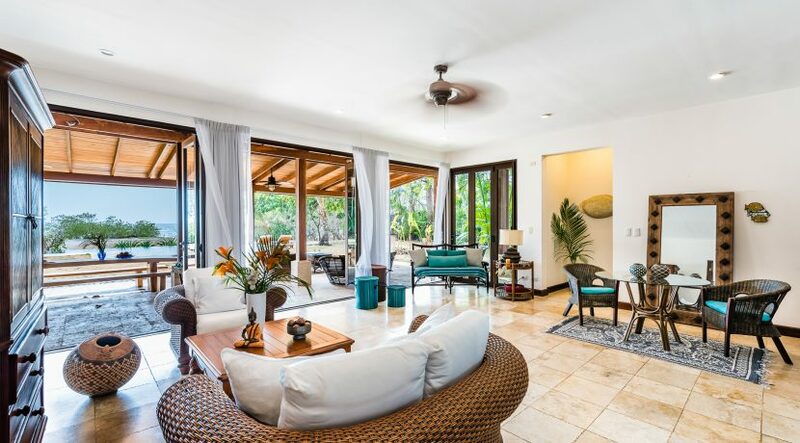 Indoor/outdoor tropical living is the benchmark for Costa Rica in these tropical climes. 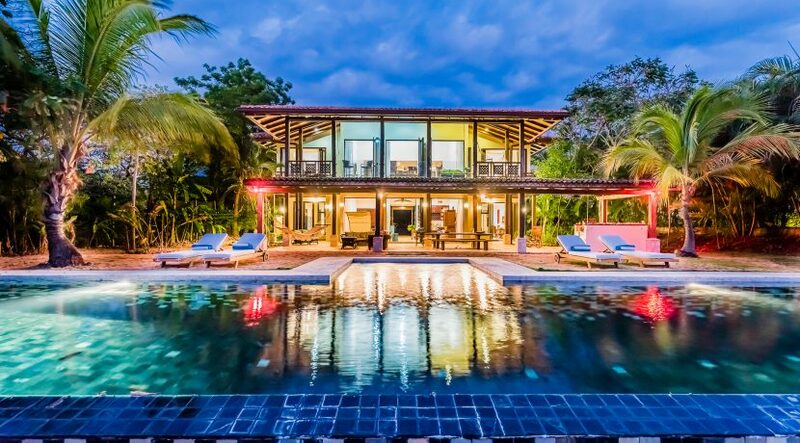 This home is the epitome of the perfect lifestyle. 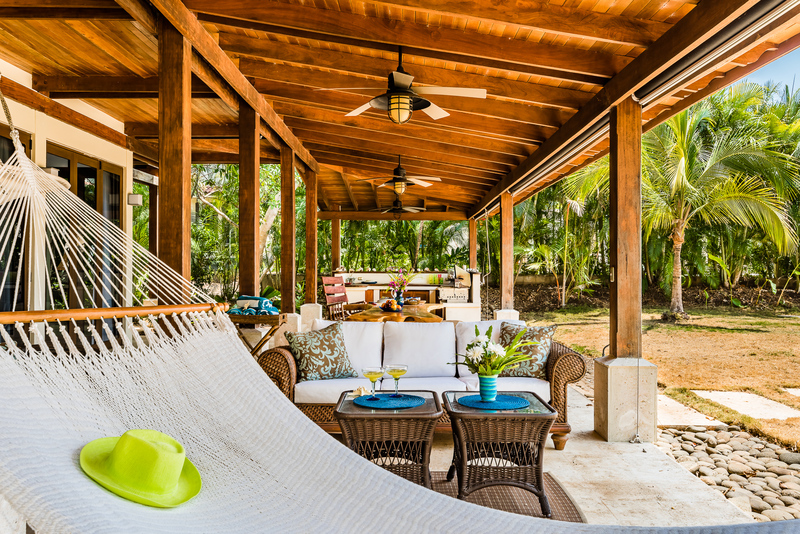 The first floor covered patio is likely where you will spend a majority of your time. 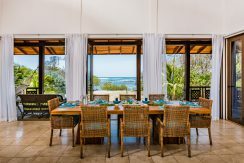 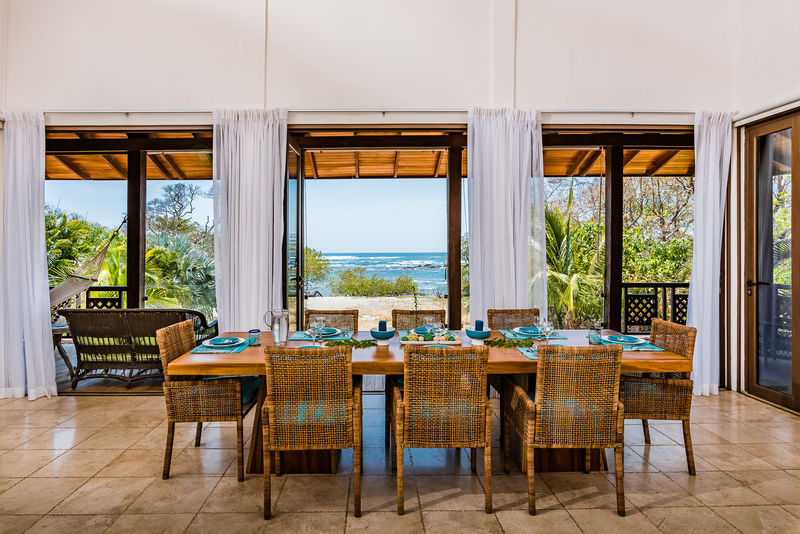 The homes second dining space is here and also has a custom tropical hardwood dining table that will accommodate up to 20 guests. 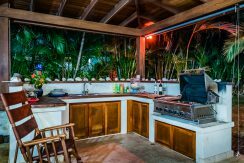 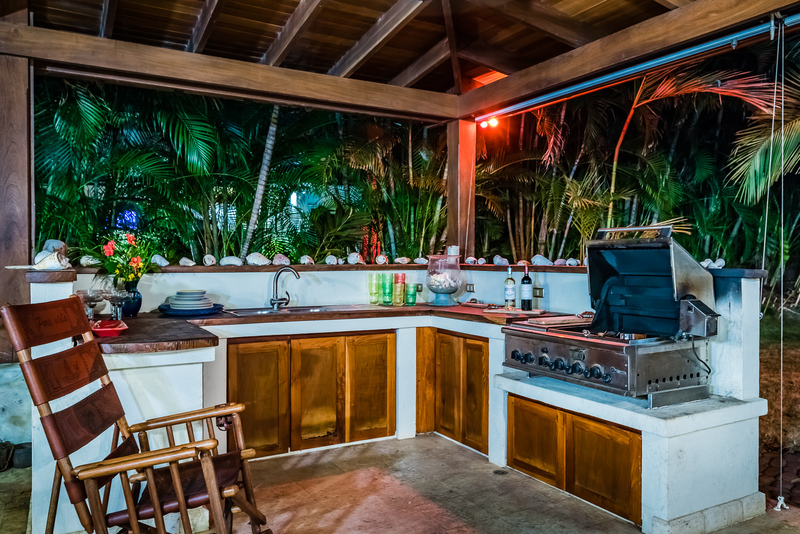 While friends and family frolic in the sea and swimming pool the custom stainless steel barbecue will surely provide them with all the hearty meals they will enjoy. 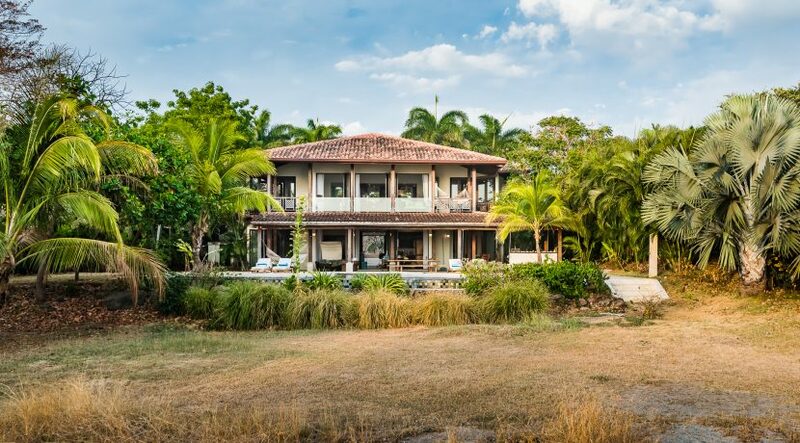 Hacienda Pinilla is a gated and guarded 4500 acre ranch style development where cattle still roam. 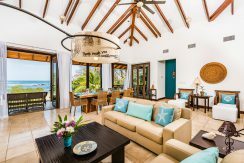 Each home has access to their exclusive beachclub. The project enjoys over two miles of ocean front. 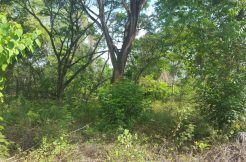 This is an Audubon certified development whereby nearly two million native trees have been planted. 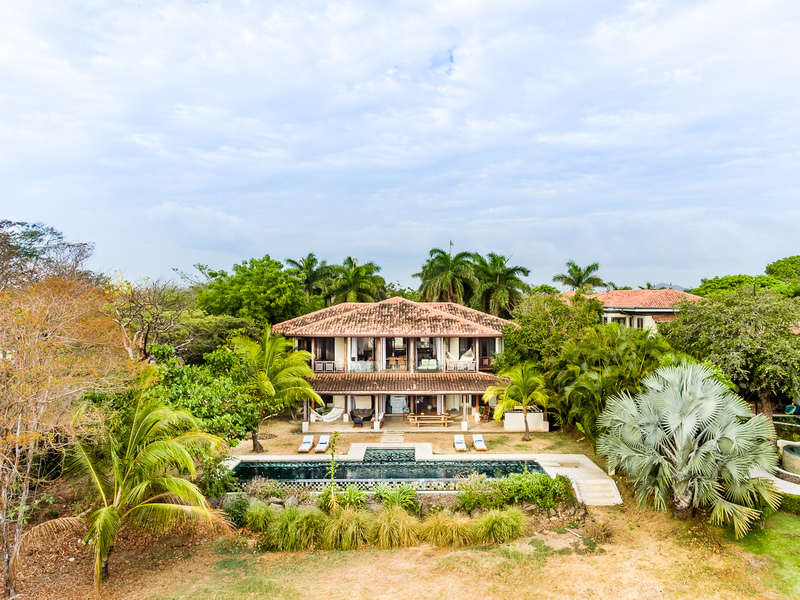 Hacienda Pinilla hosts the JW Marriott hotel. 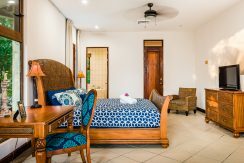 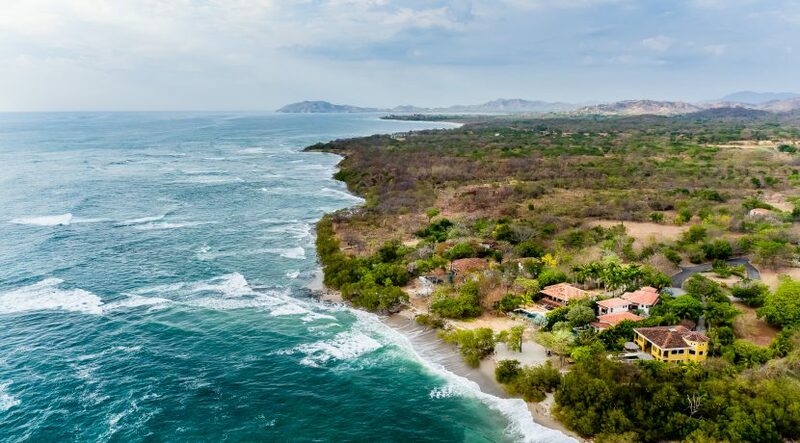 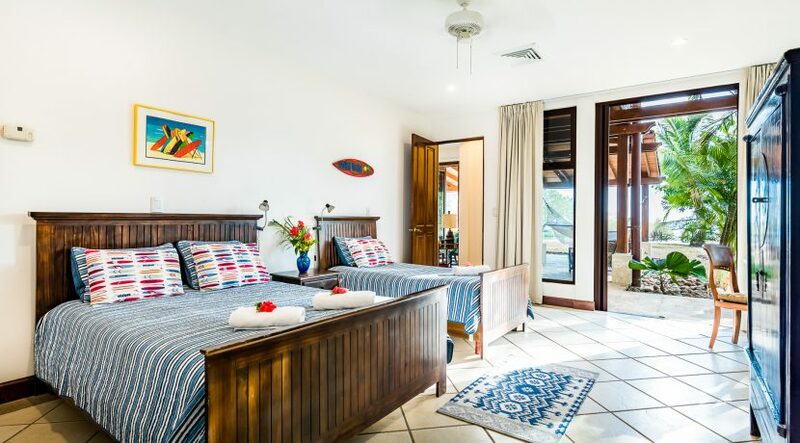 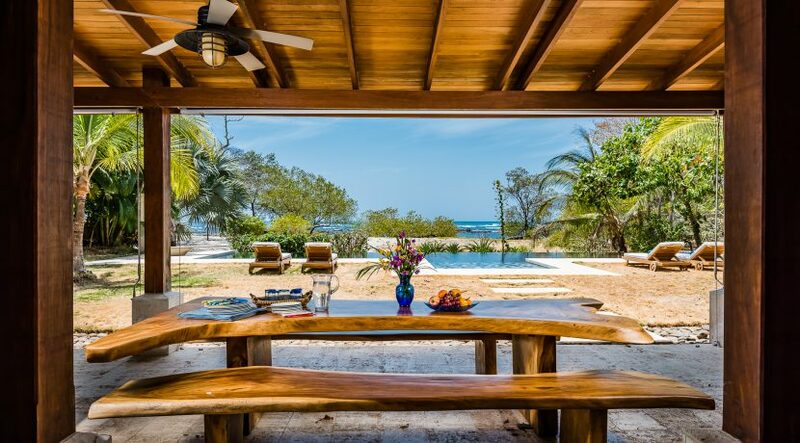 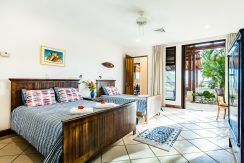 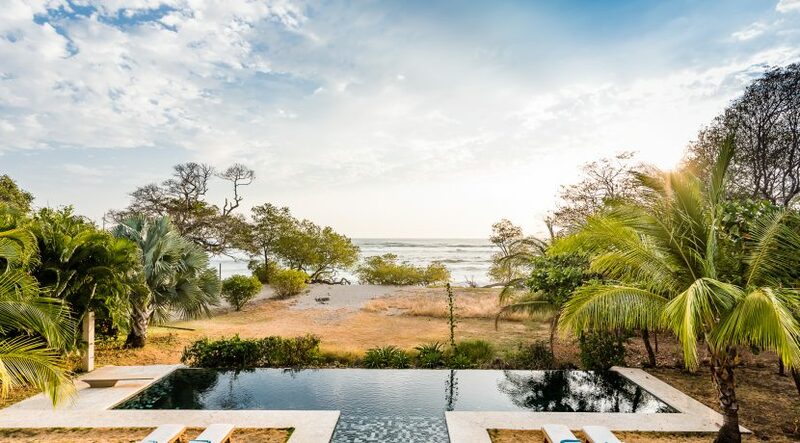 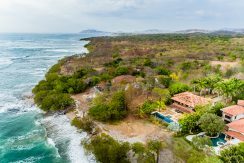 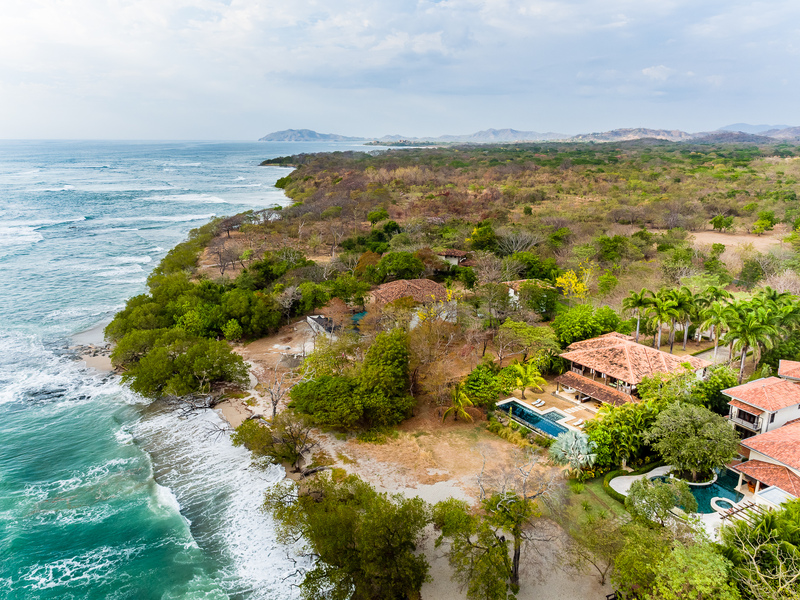 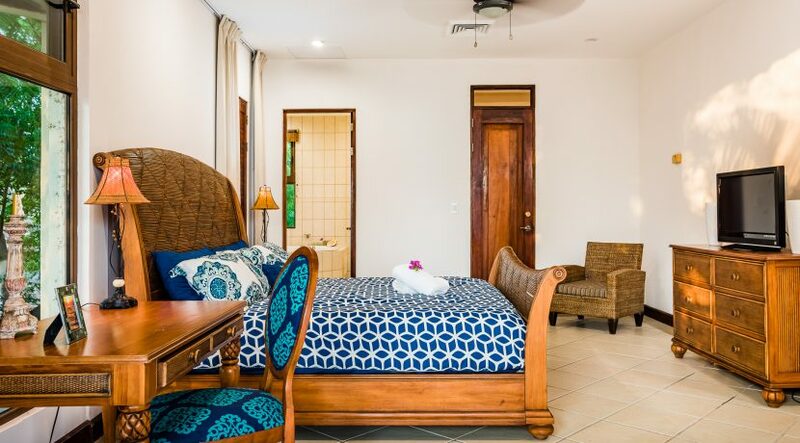 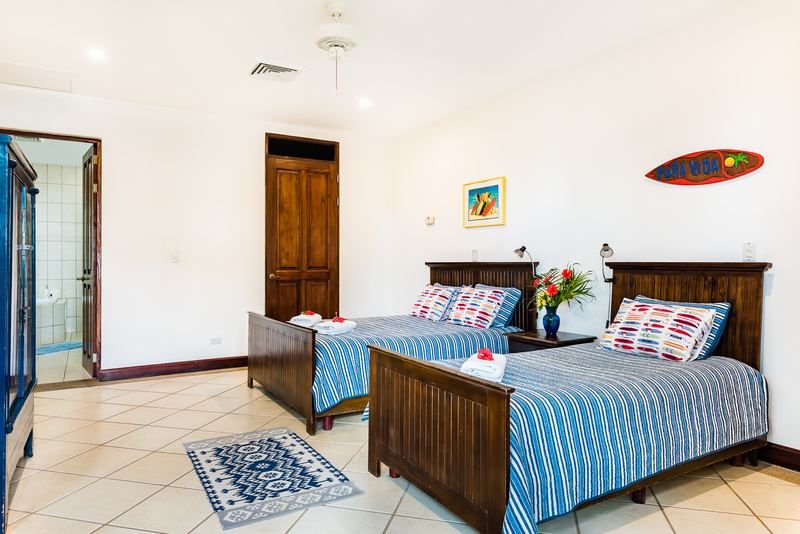 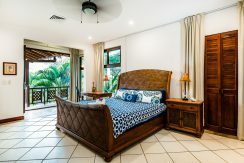 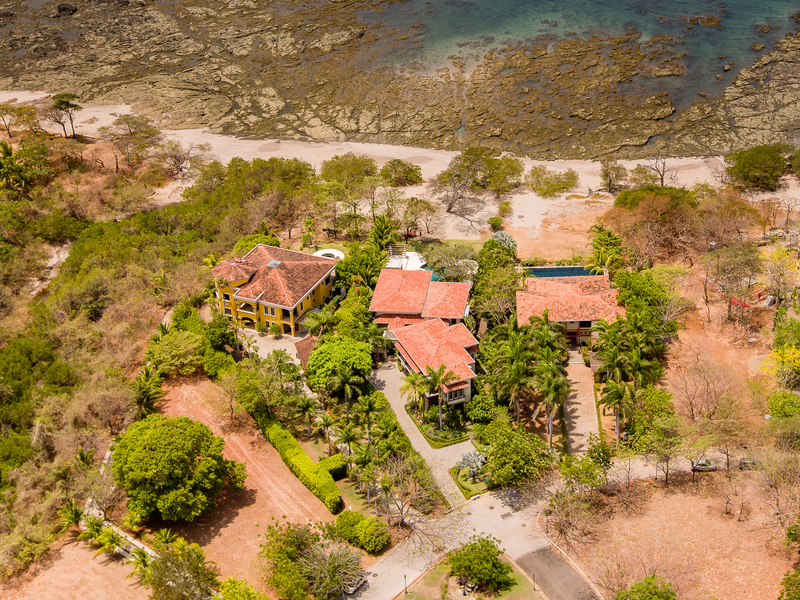 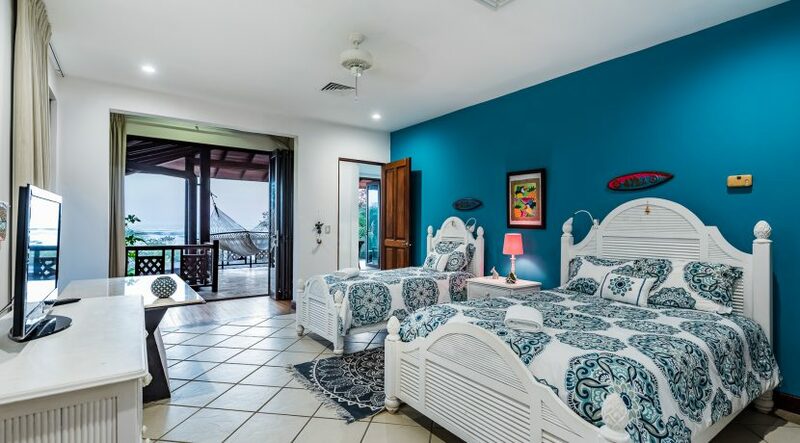 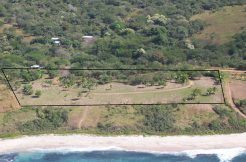 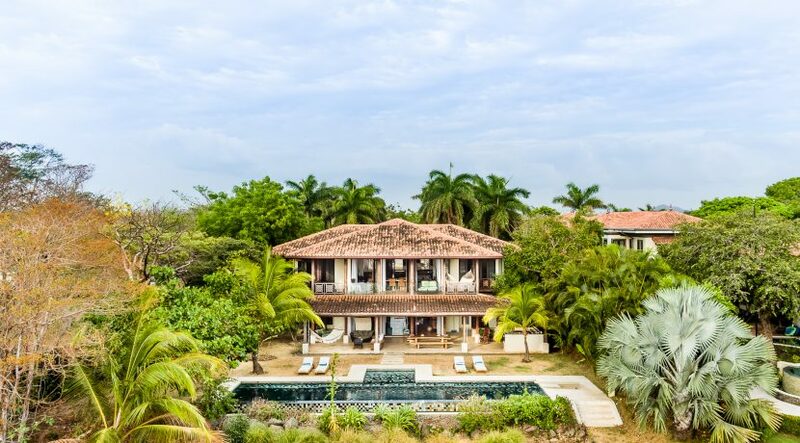 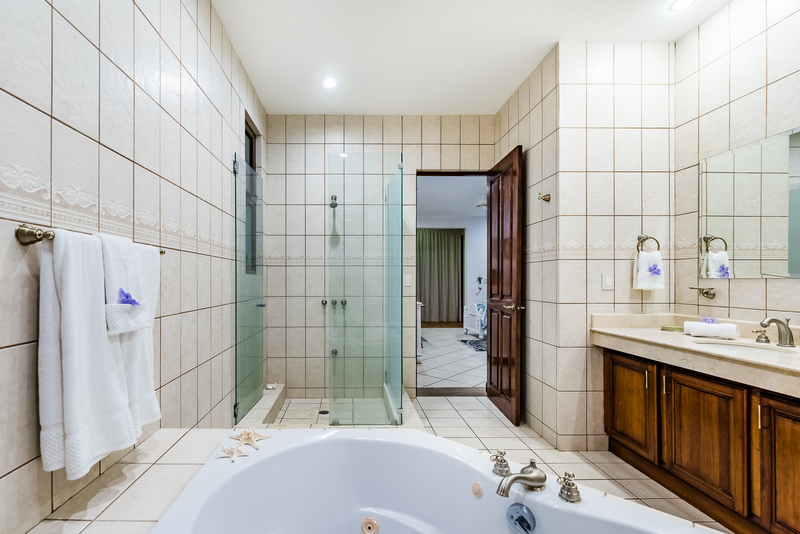 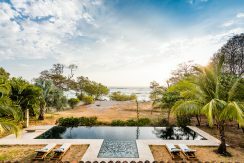 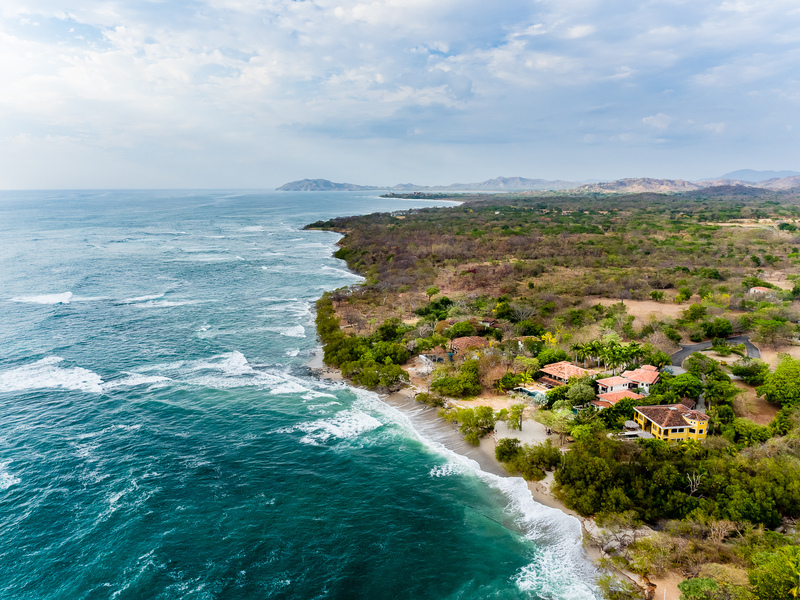 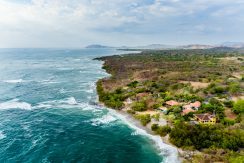 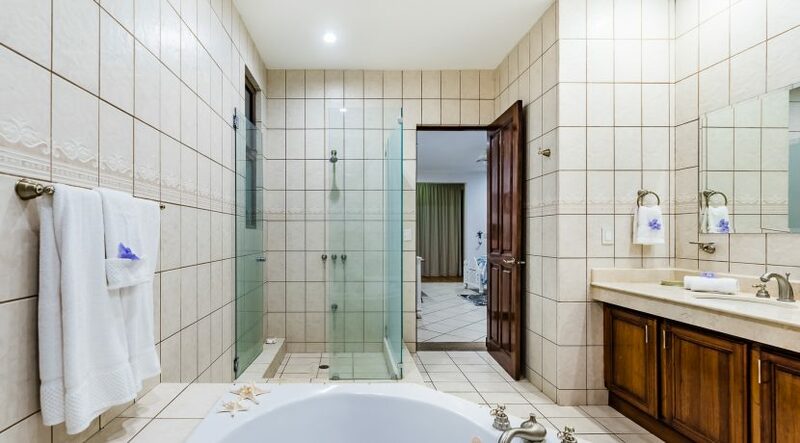 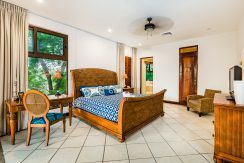 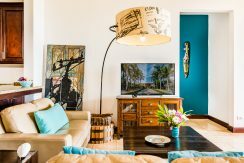 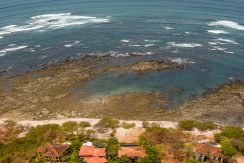 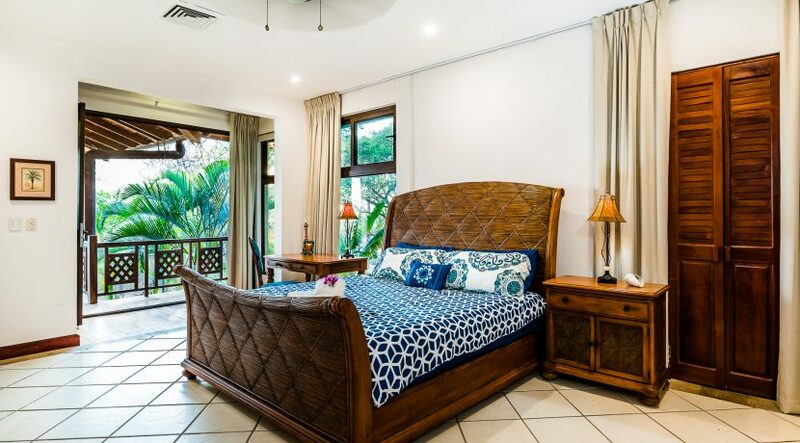 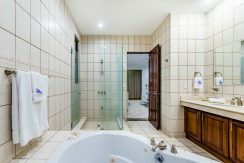 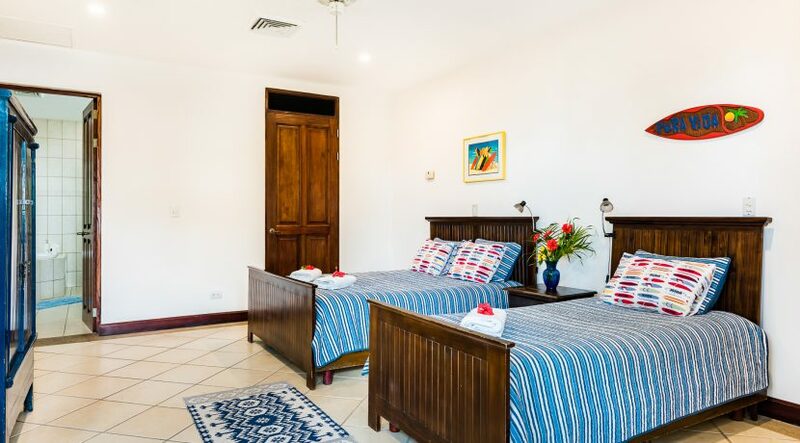 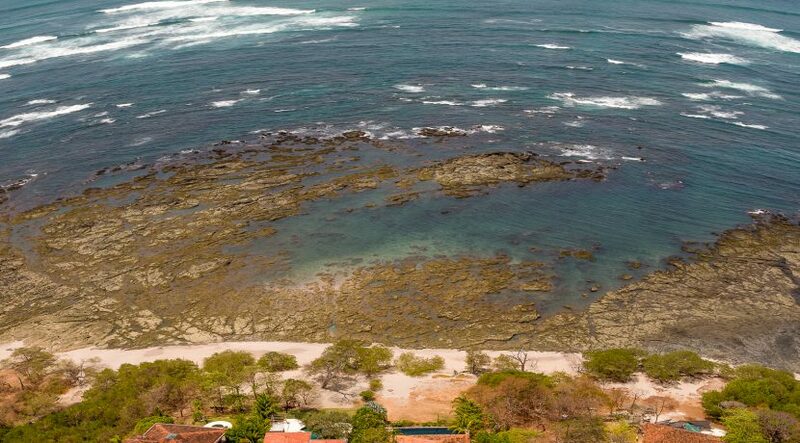 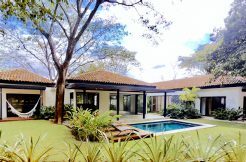 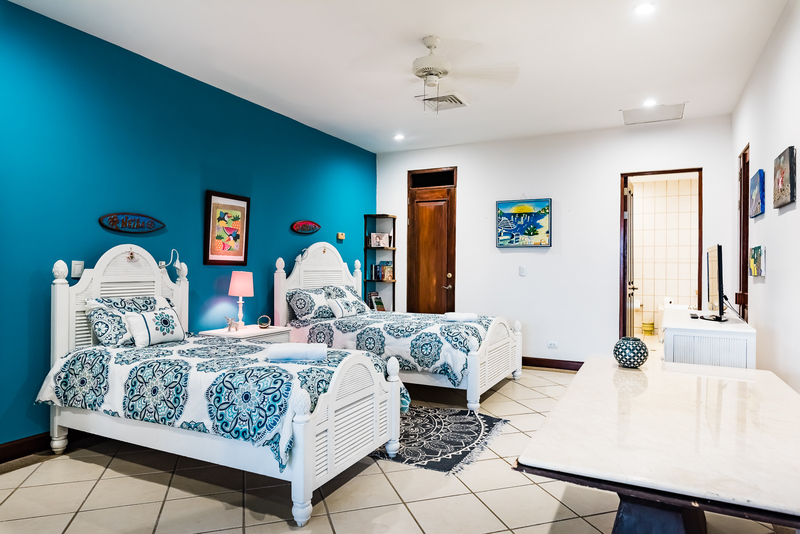 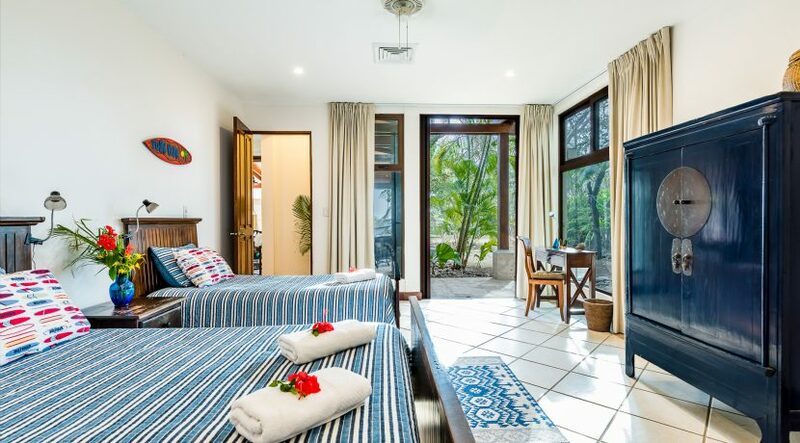 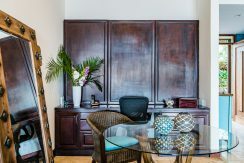 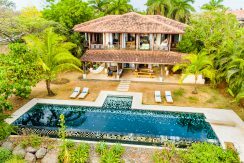 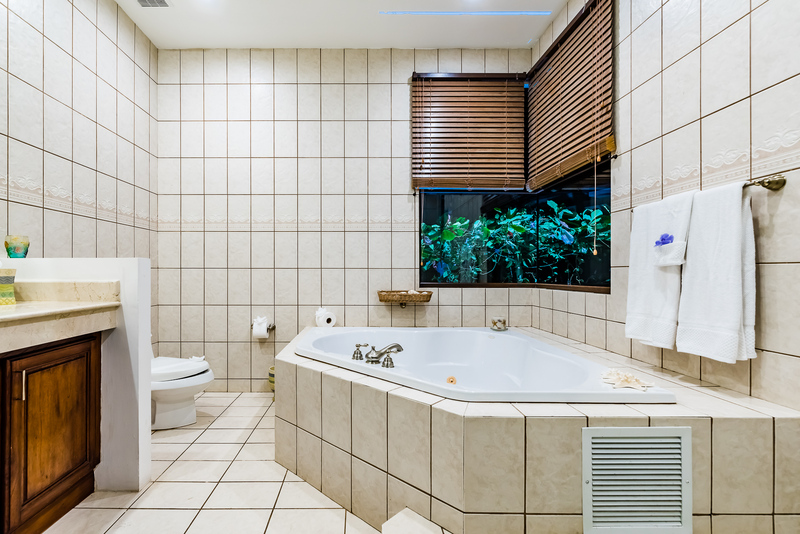 It is located just an hour to the Liberia airport, 15 minutes to the tourism hub of Tamarindo and all via paved roads. 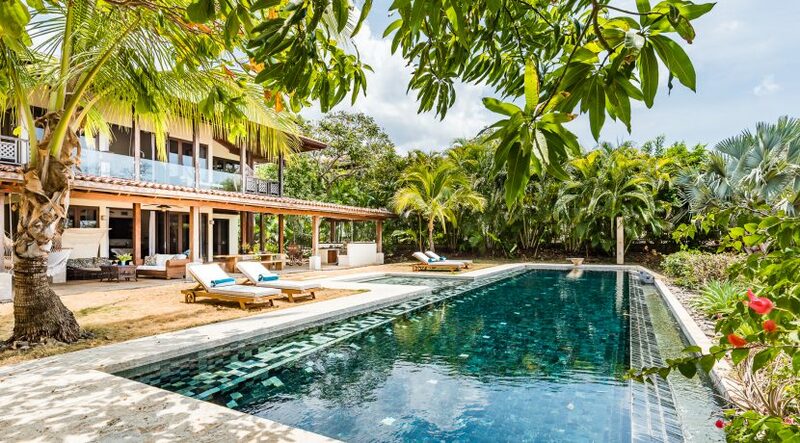 This is an easy destination to plant your roots. 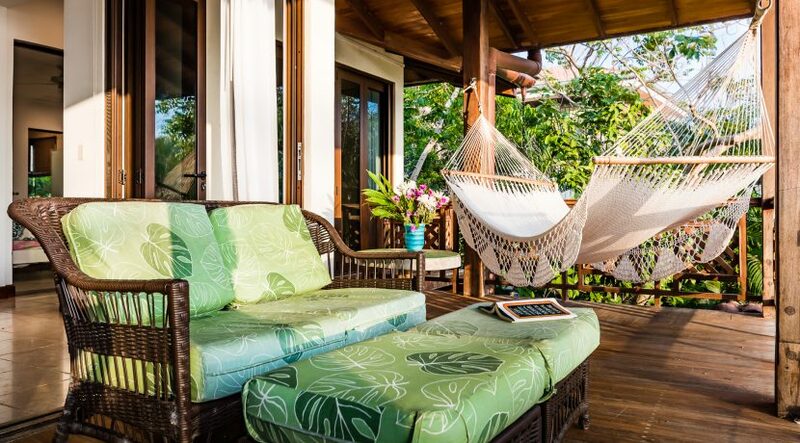 It only takes a moment to click for more details…what are you waiting for?